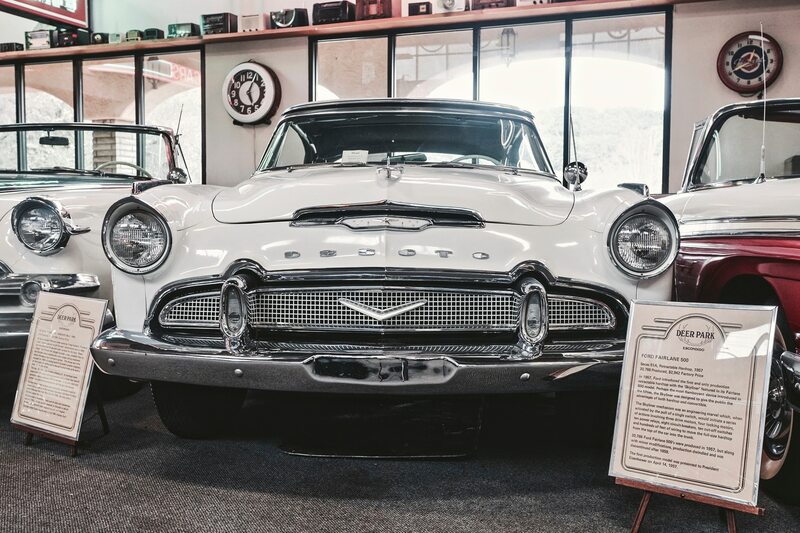 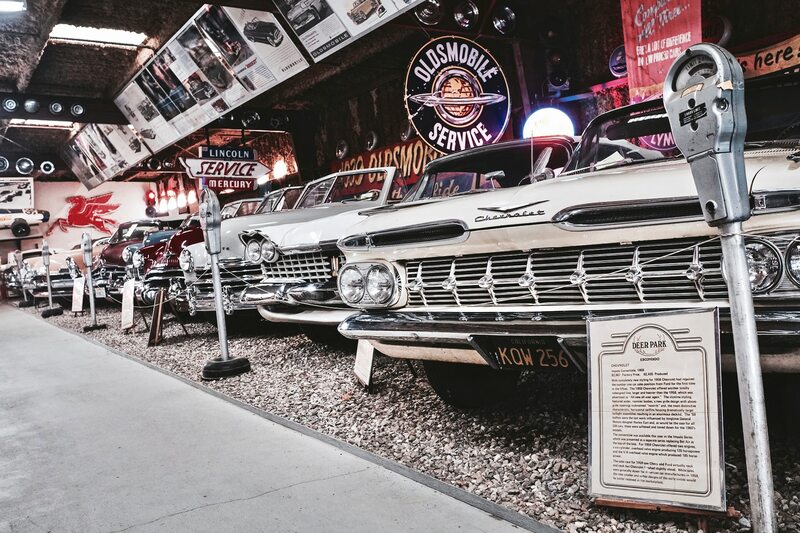 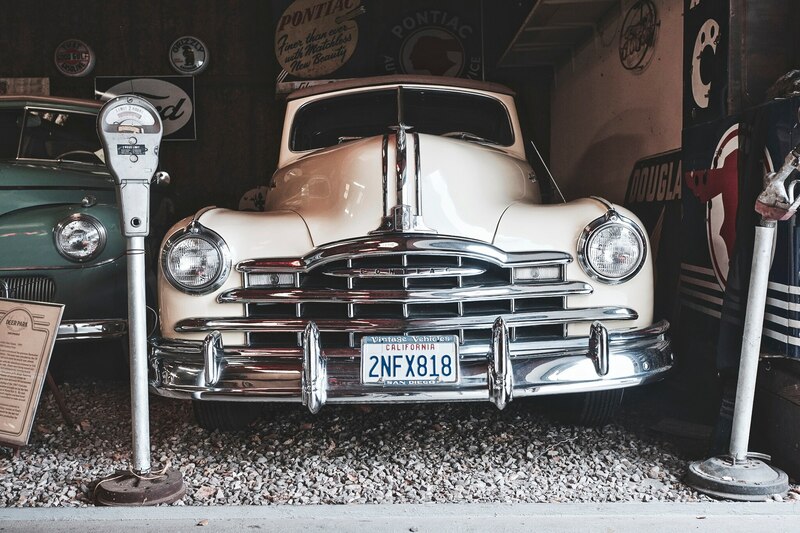 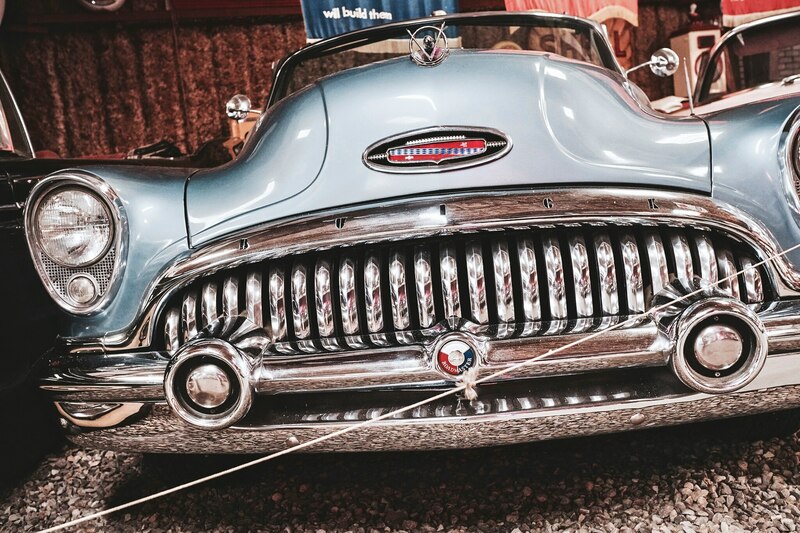 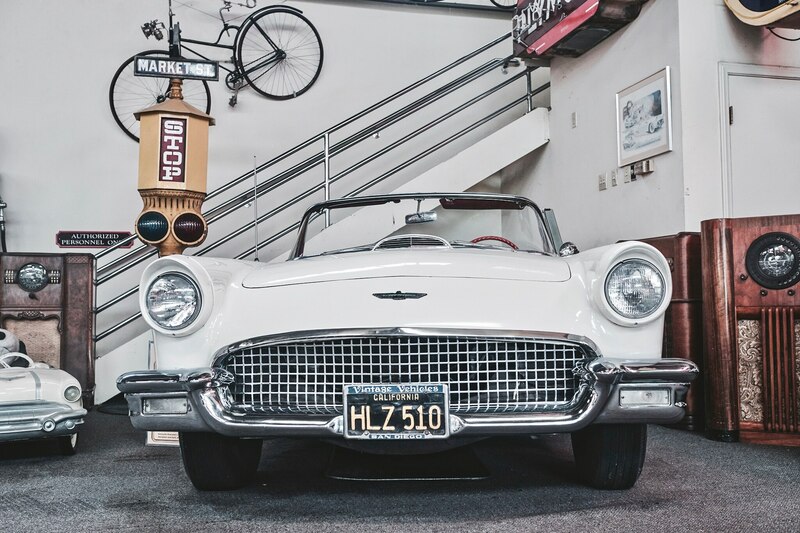 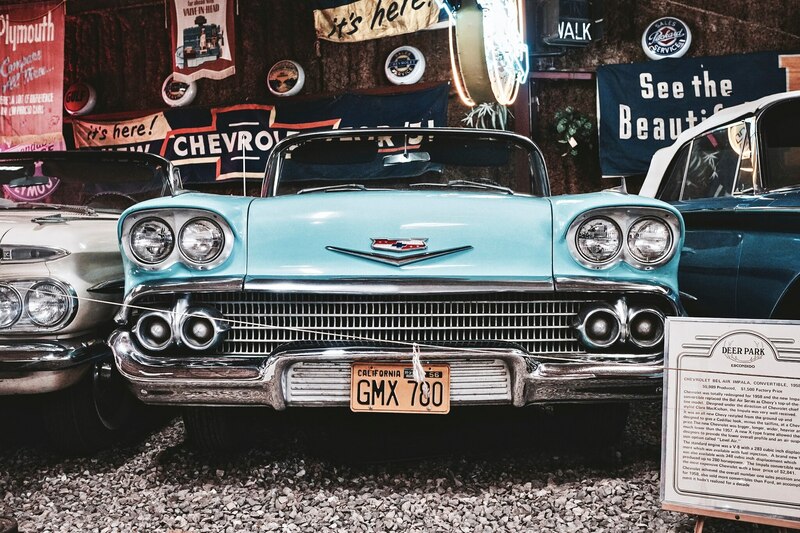 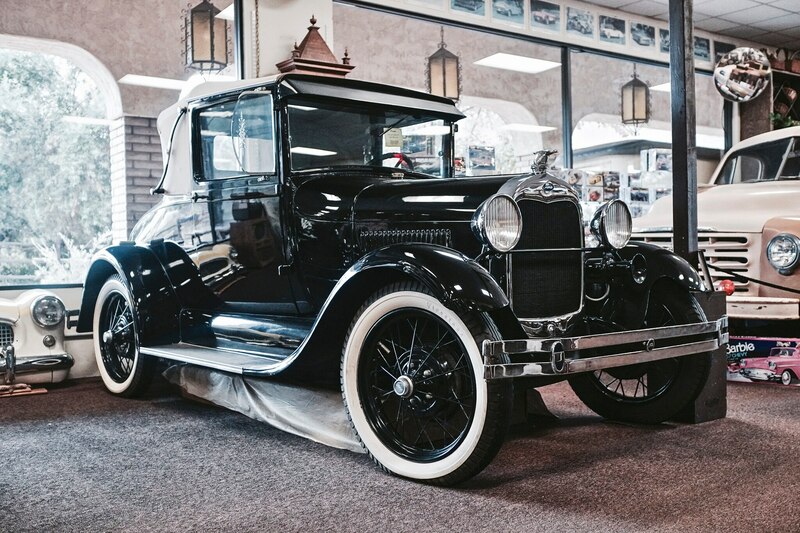 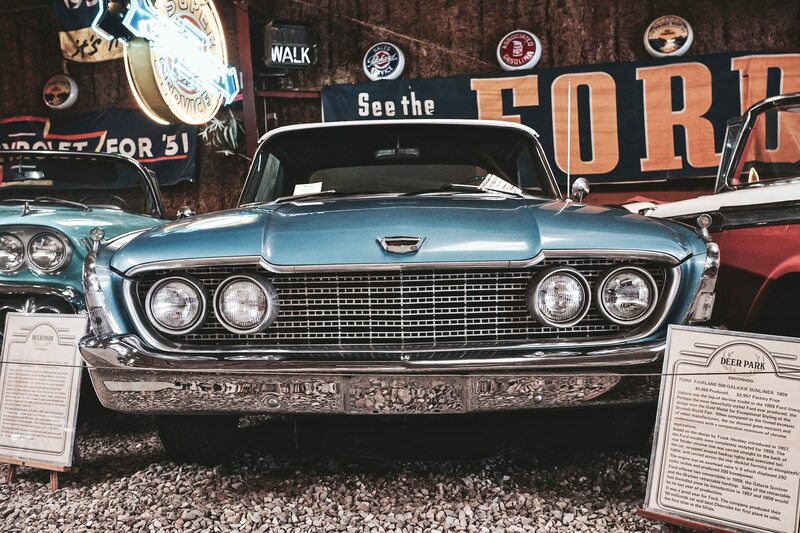 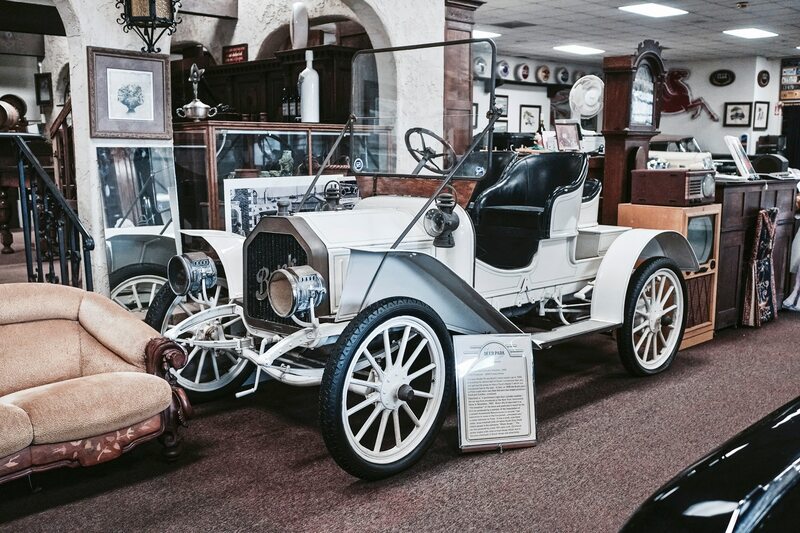 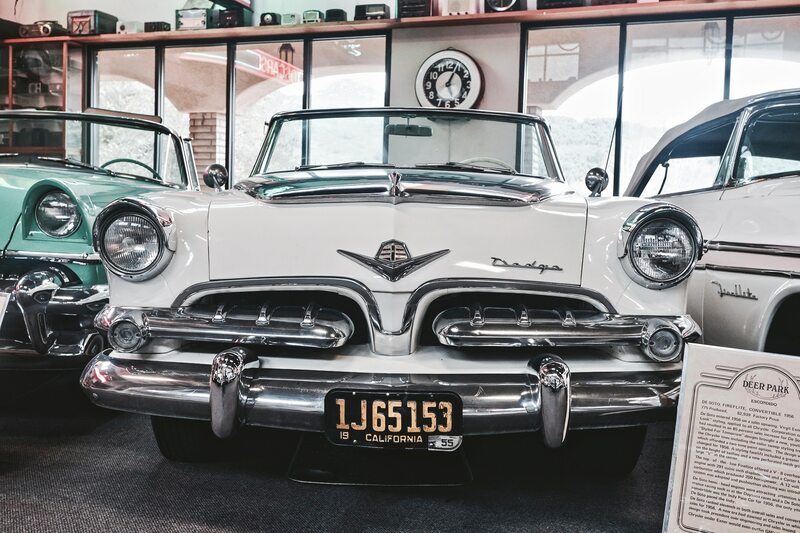 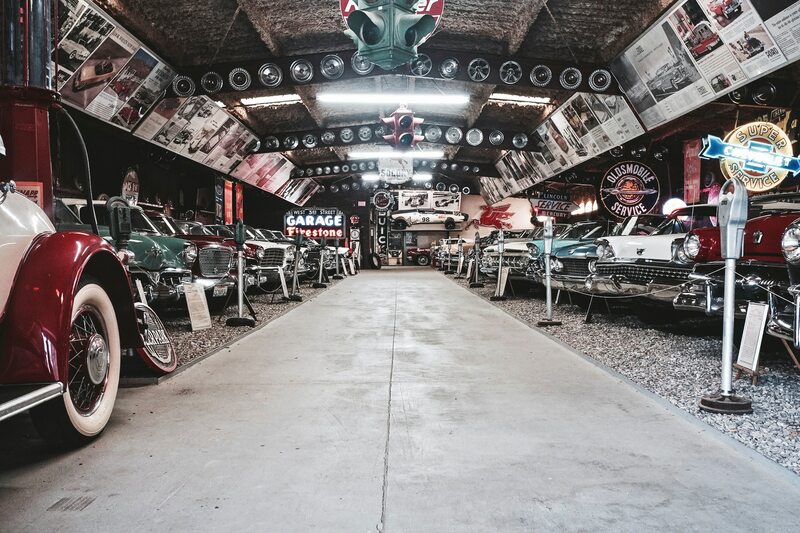 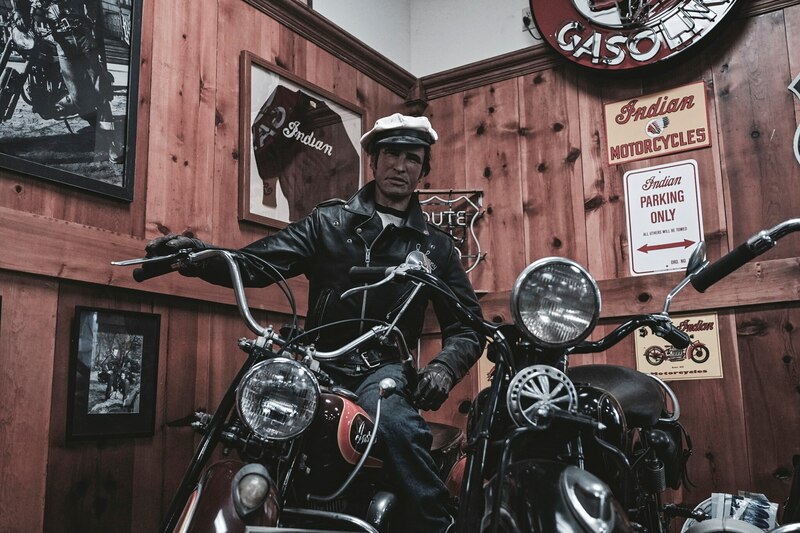 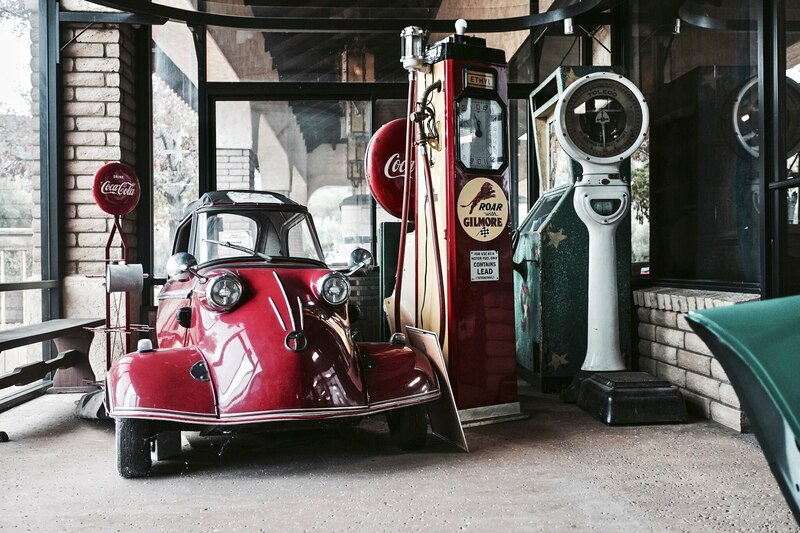 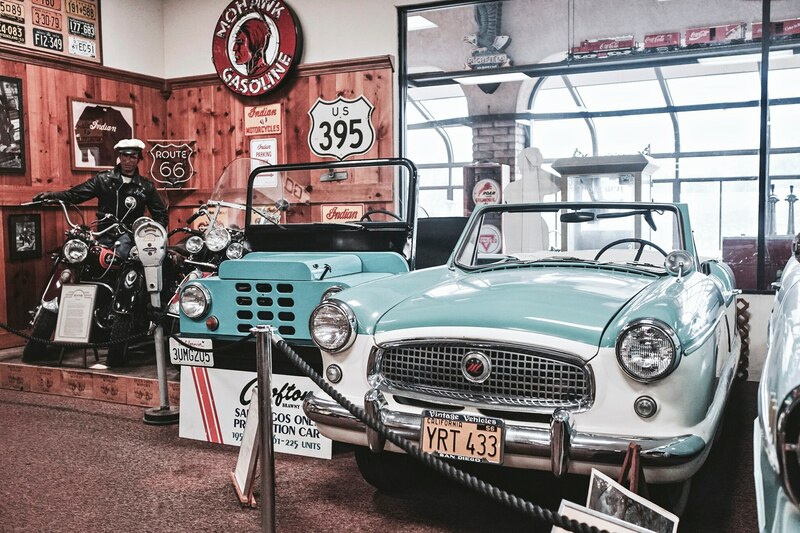 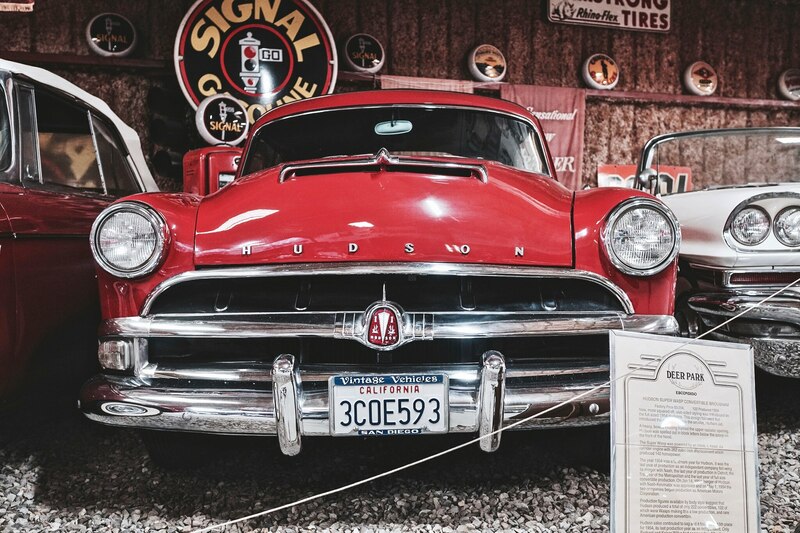 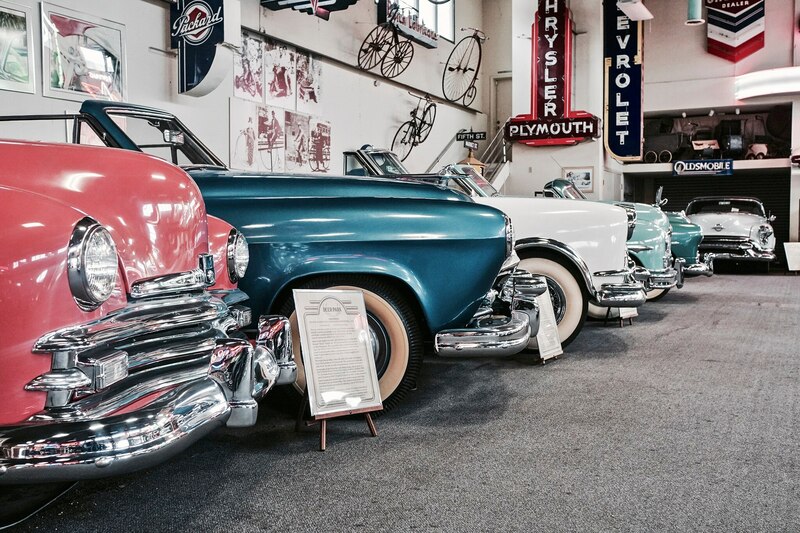 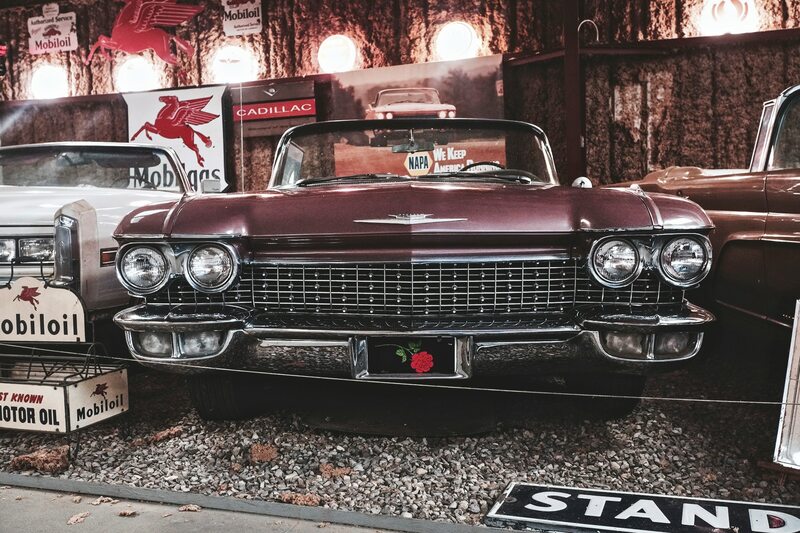 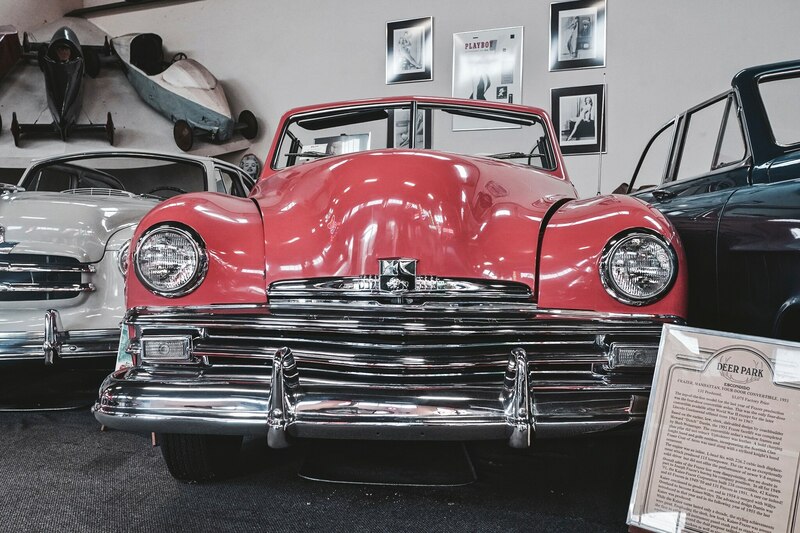 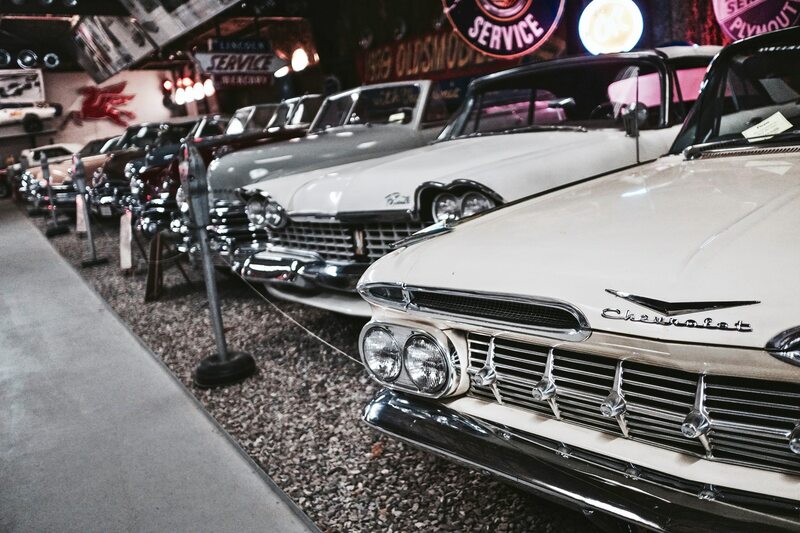 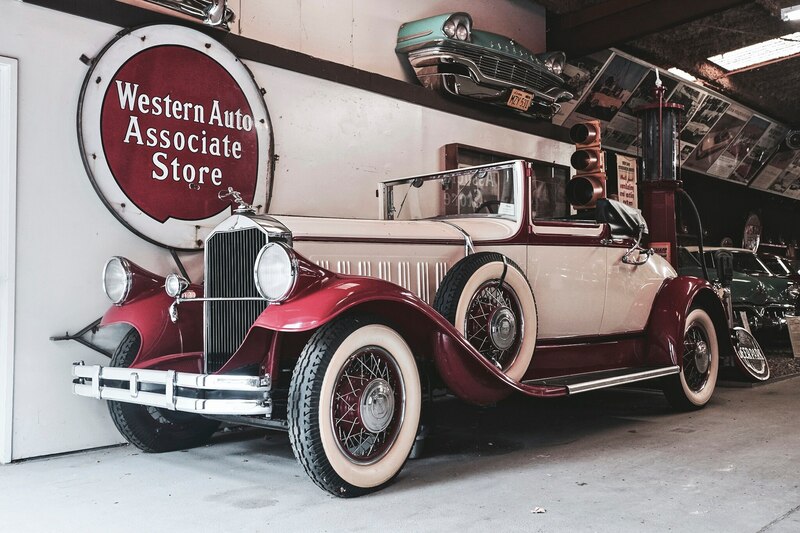 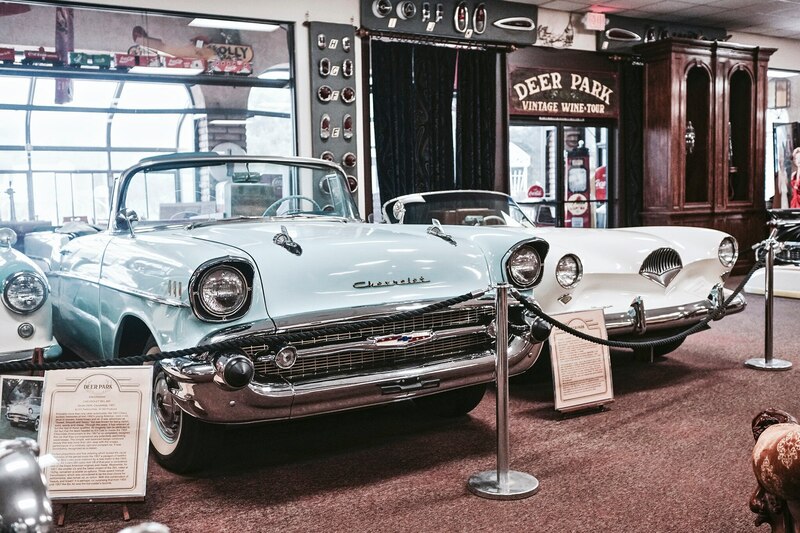 While looking for interesting car events near our home base in Southern California, I stumbled on a unique museum that had never crossed my radar: the Deer Park Winery and Auto Museum in Escondido. 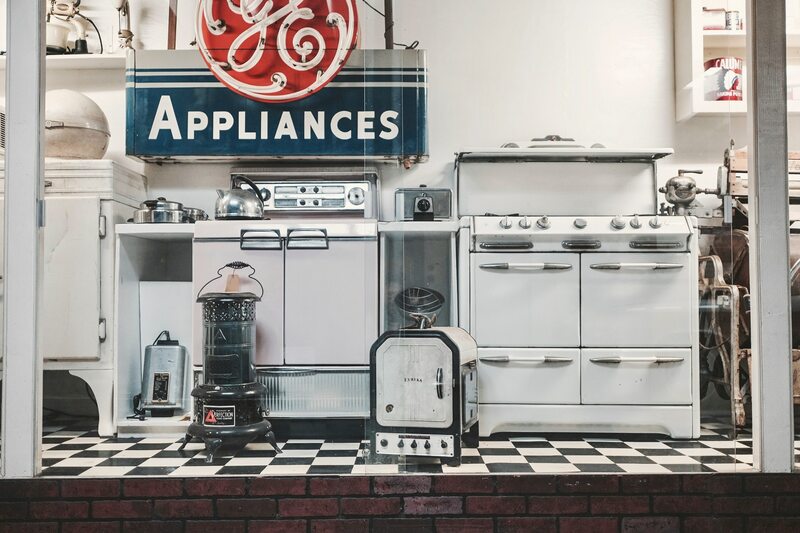 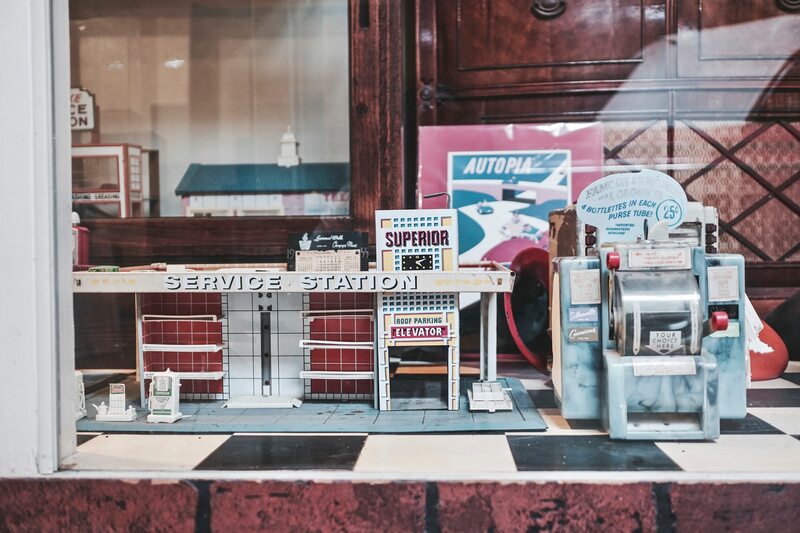 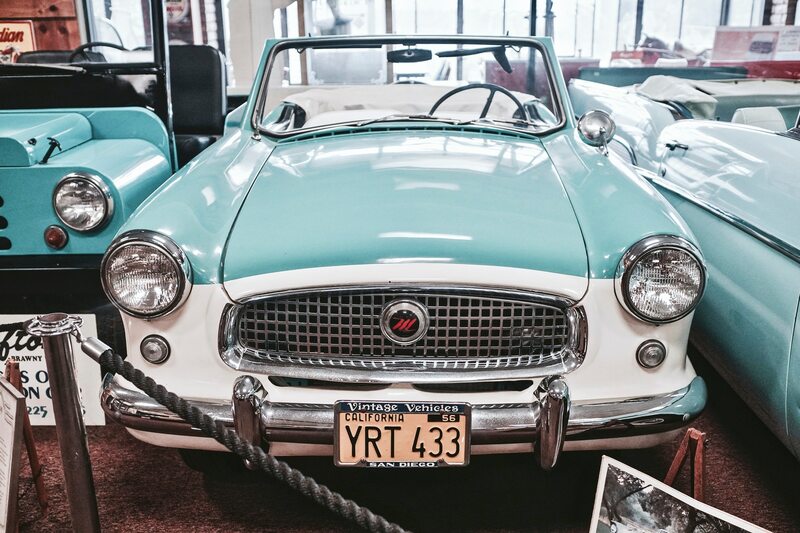 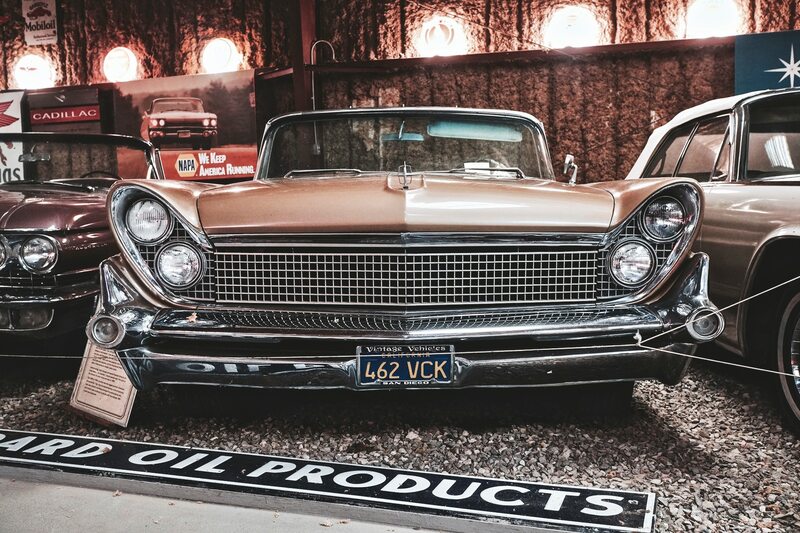 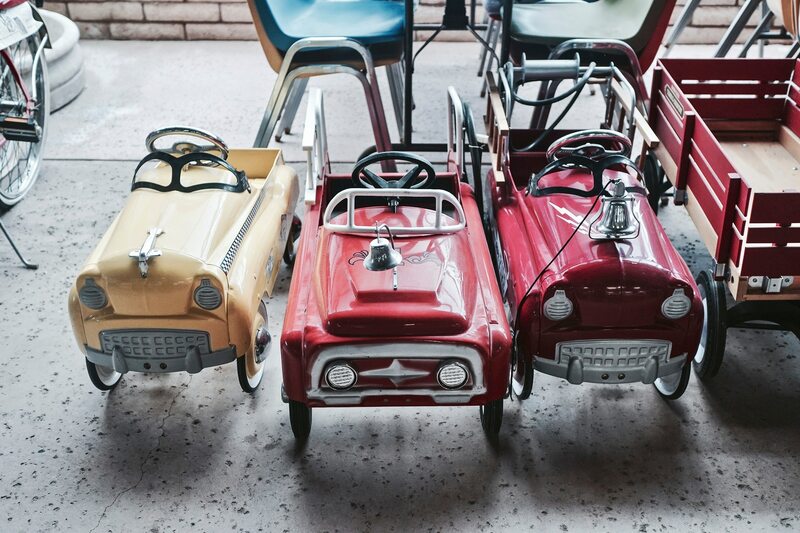 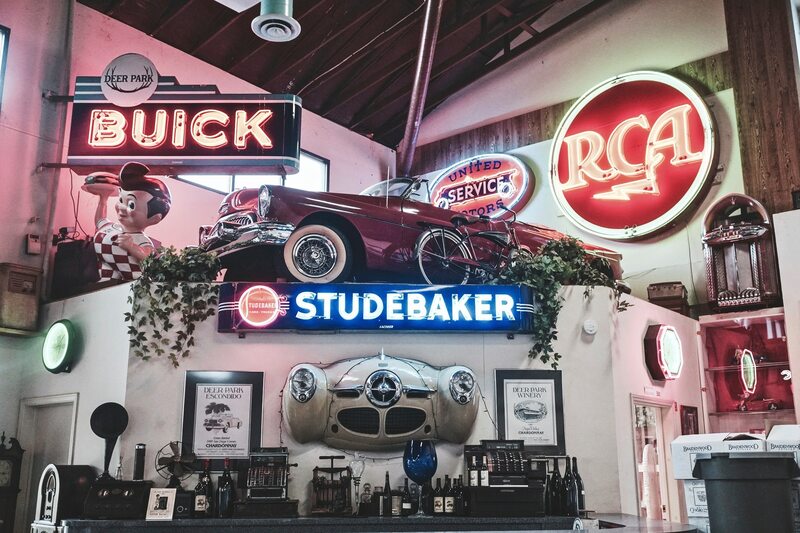 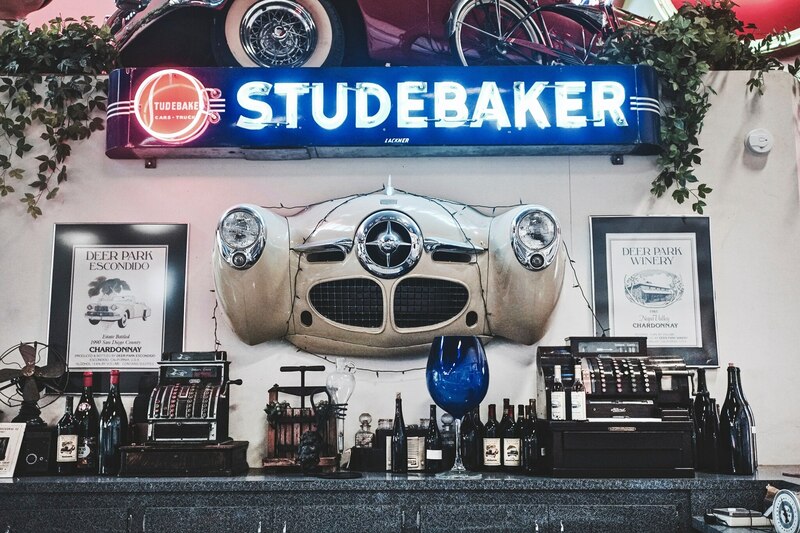 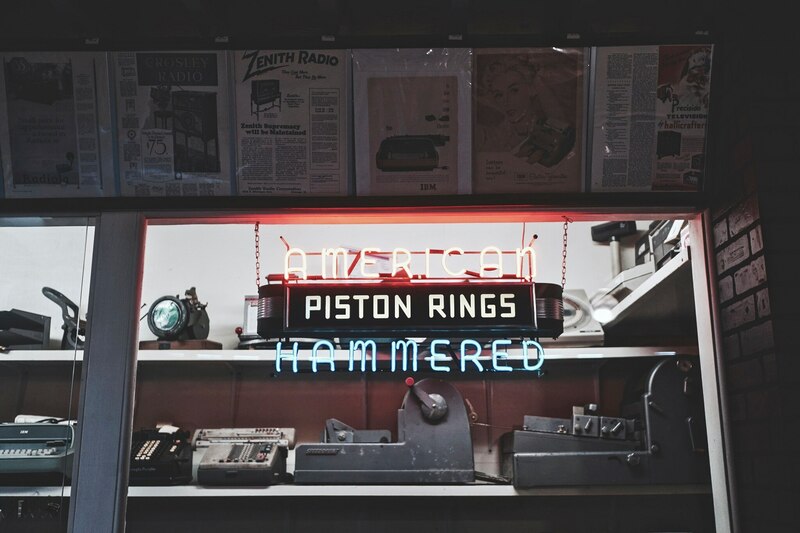 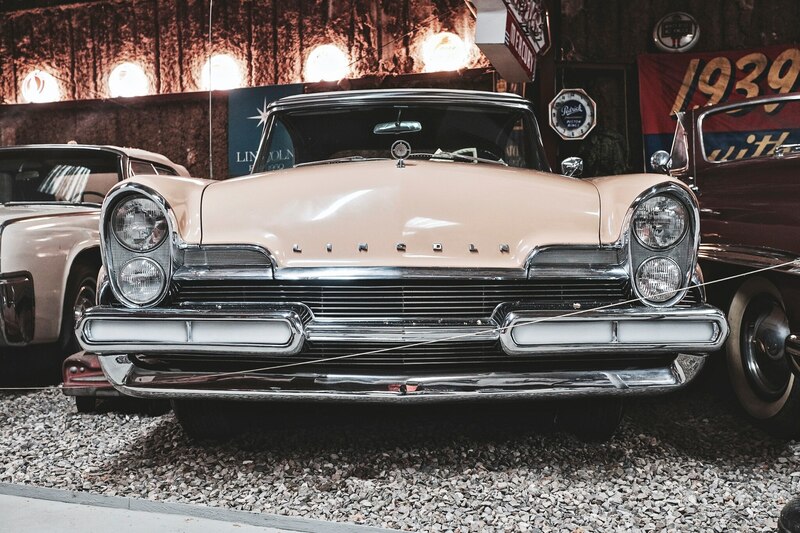 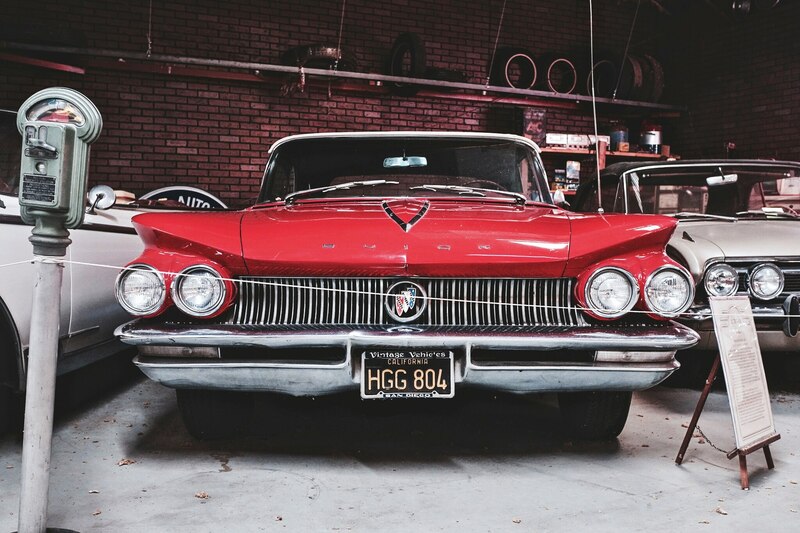 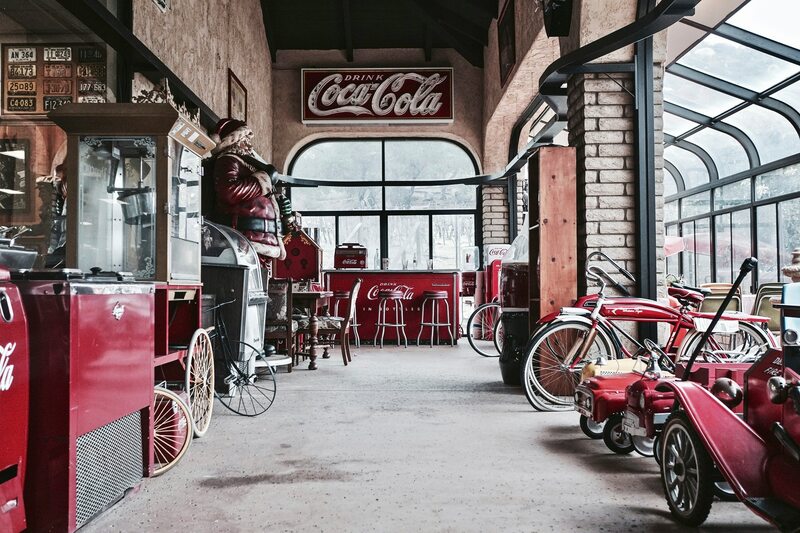 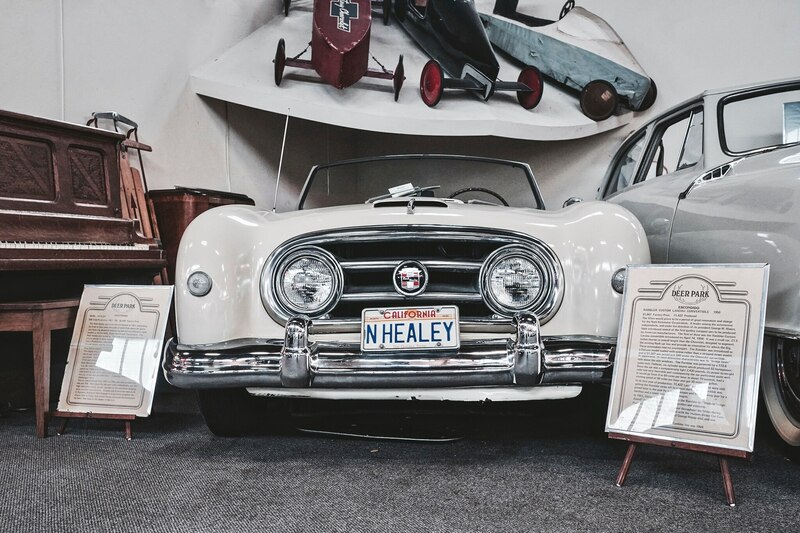 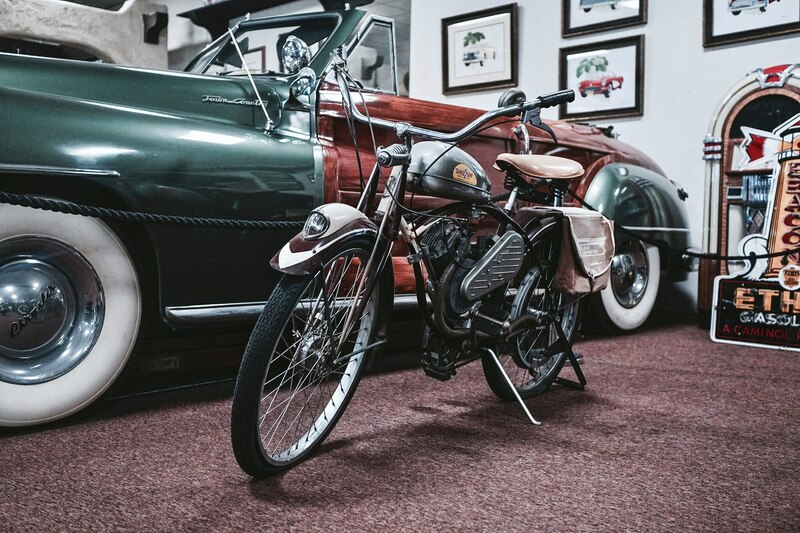 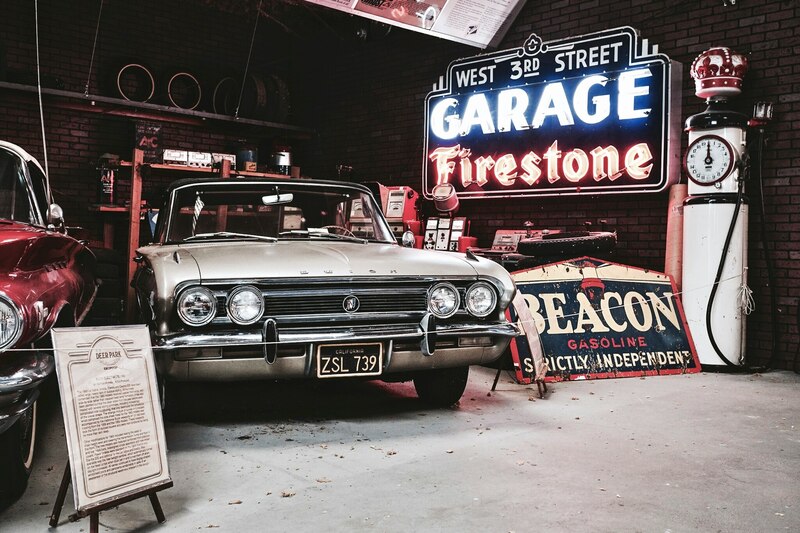 Yes, that’s right: It’s a winery, too, and it also houses a collection of vintage American household items in addition to the cars on site. 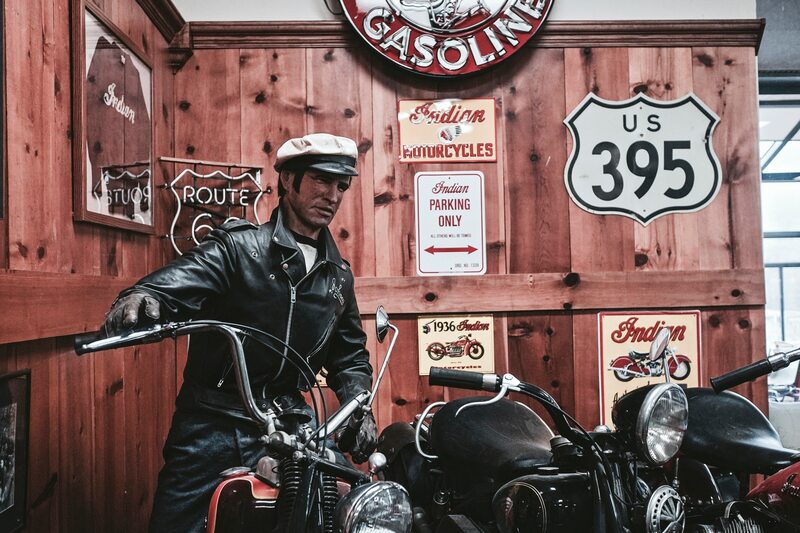 I had to go, and so I pointed myself south on the 15. 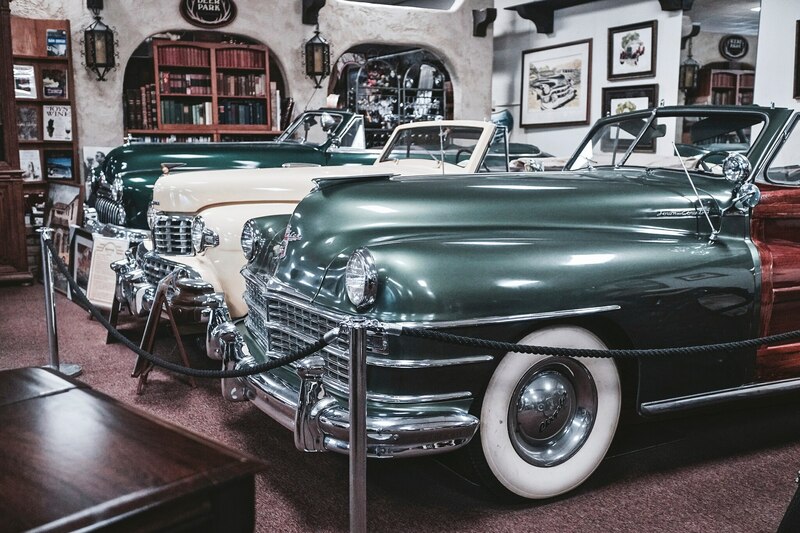 Prior to the trip, I read several unflattering reviews on Google, TripAdvisor, and Yelp, primarily involving the quality of the wine and the upkeep of the grounds. 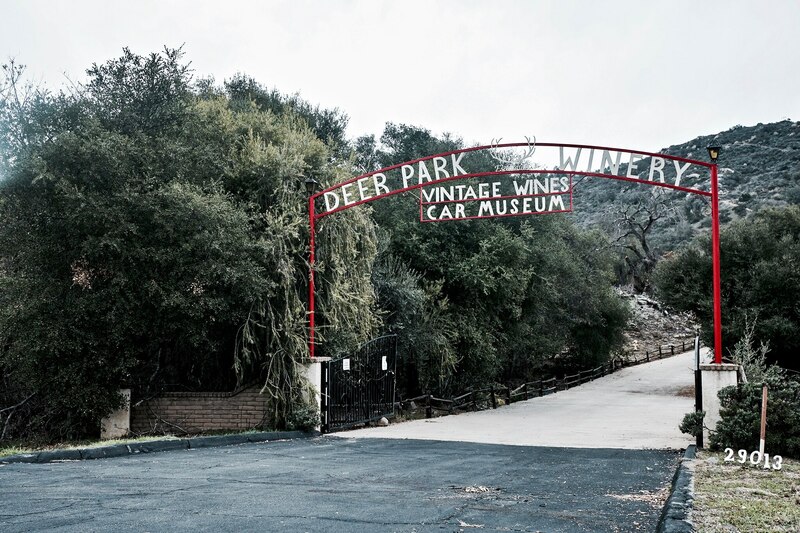 I figured at worst I’d sample “terrible” wine and browse cars covered in dust—it would take more than online bleatings to deter me from making the drive down from Los Angeles. 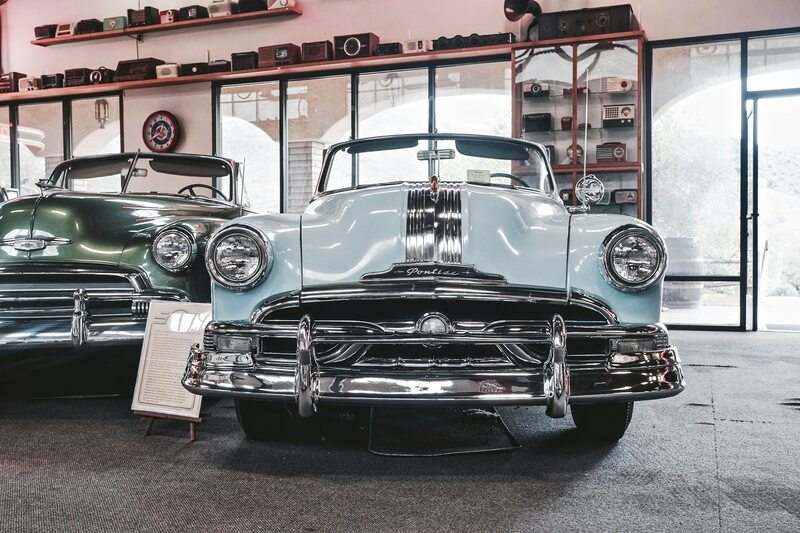 When I arrived in Escondido, I needed some coffee and happened upon Blue Mug Coffee & Tea, where I ordered a delicious iced triple white mocha. 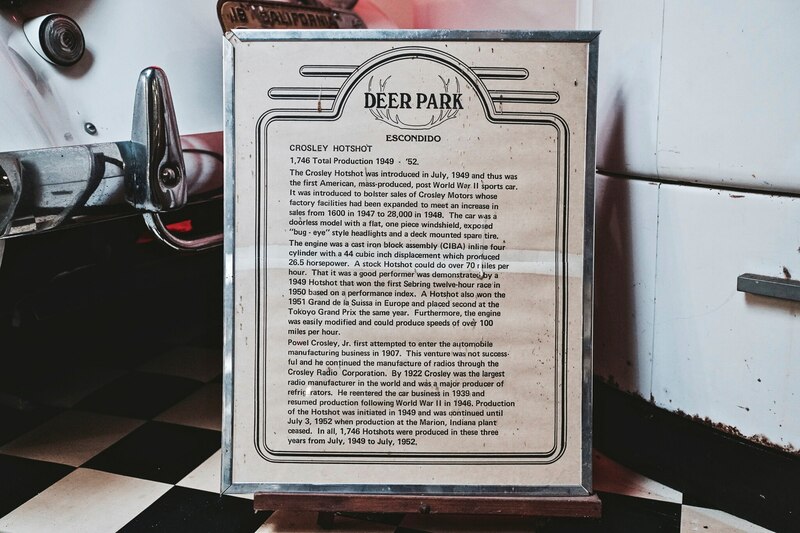 By the time I arrived at Deer Park, it had started to pour and the plethora of vacant parking spaces signaled an absence of other visitors. 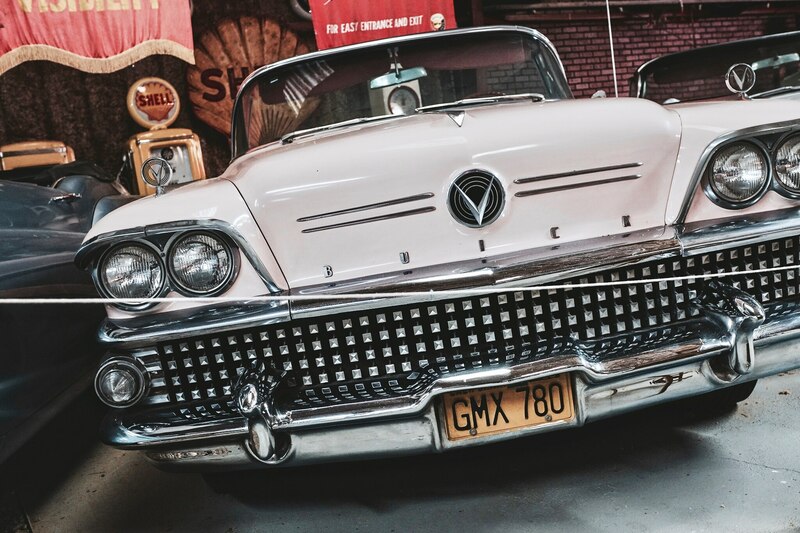 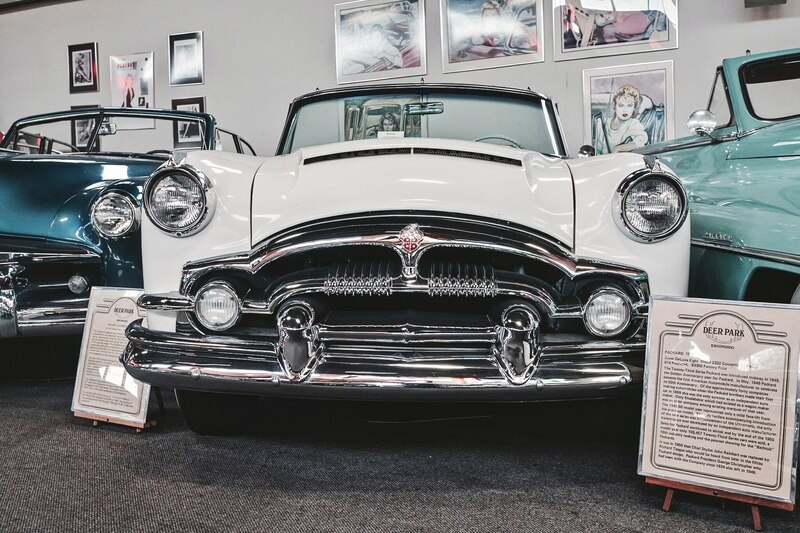 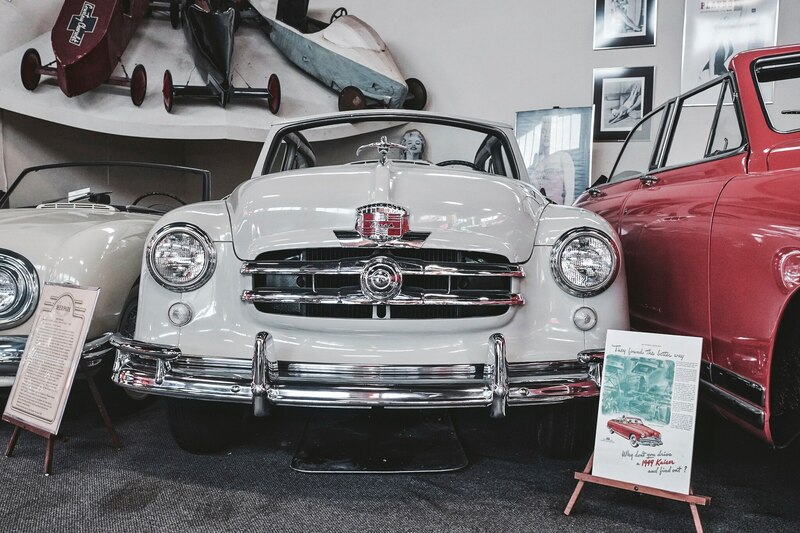 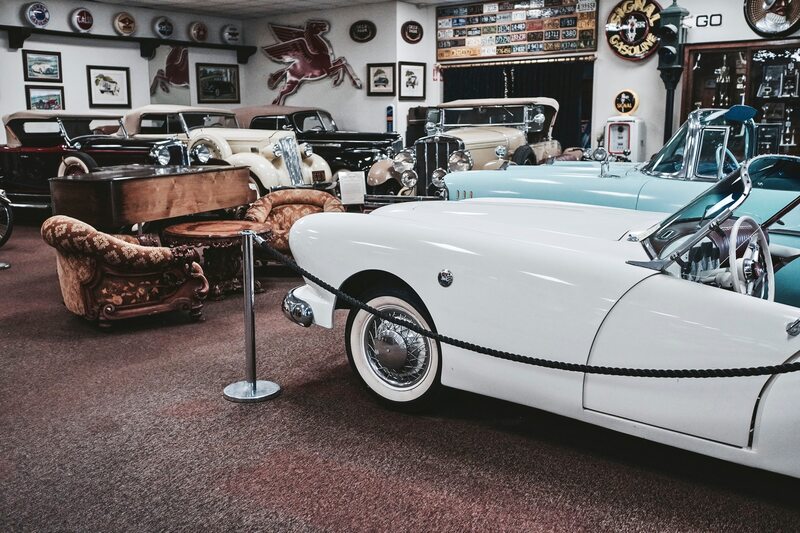 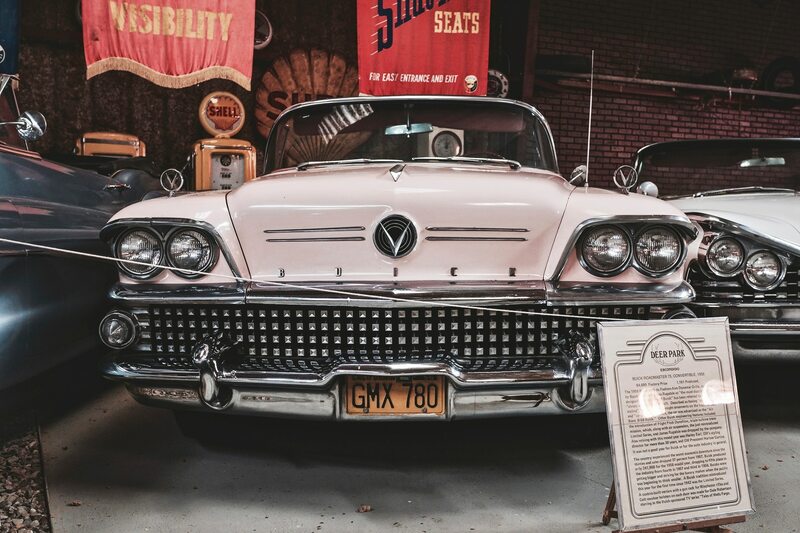 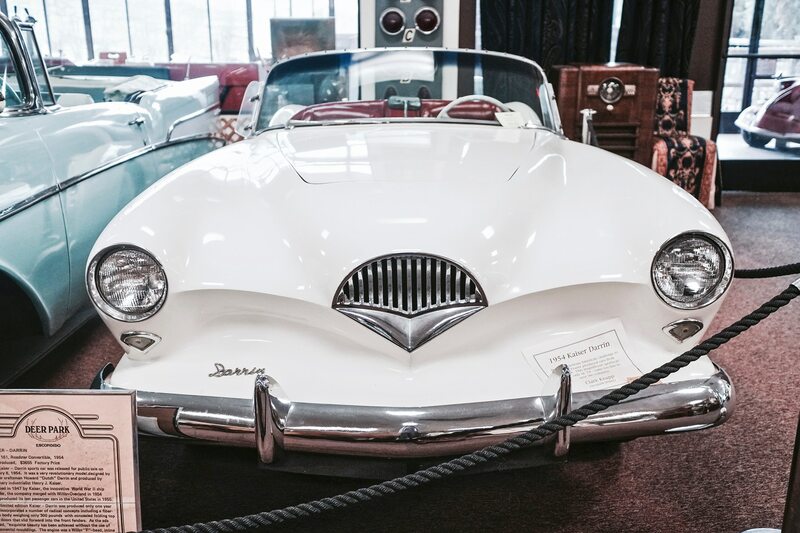 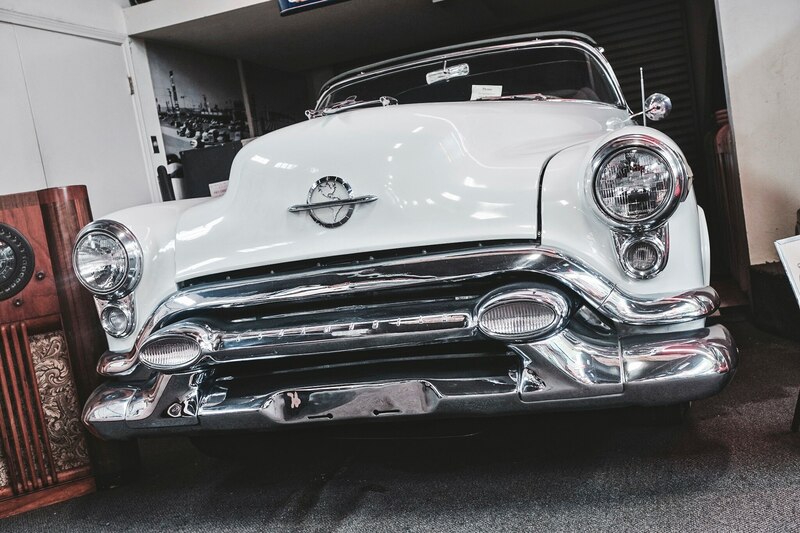 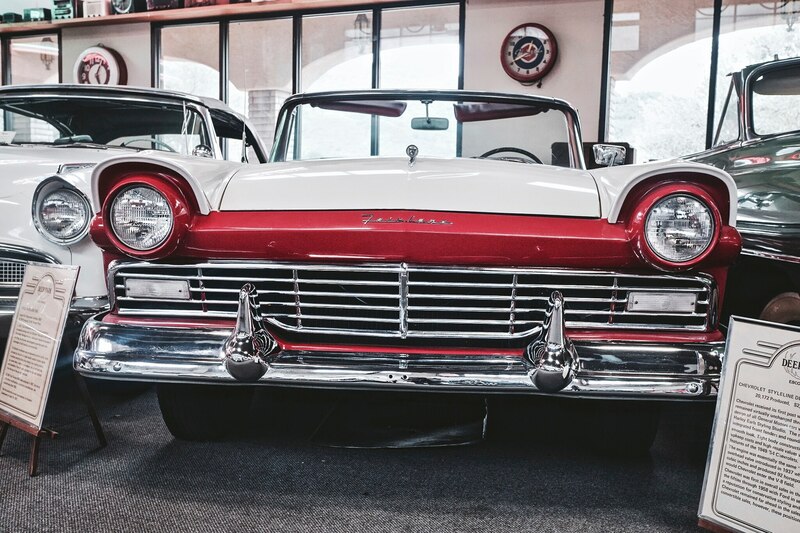 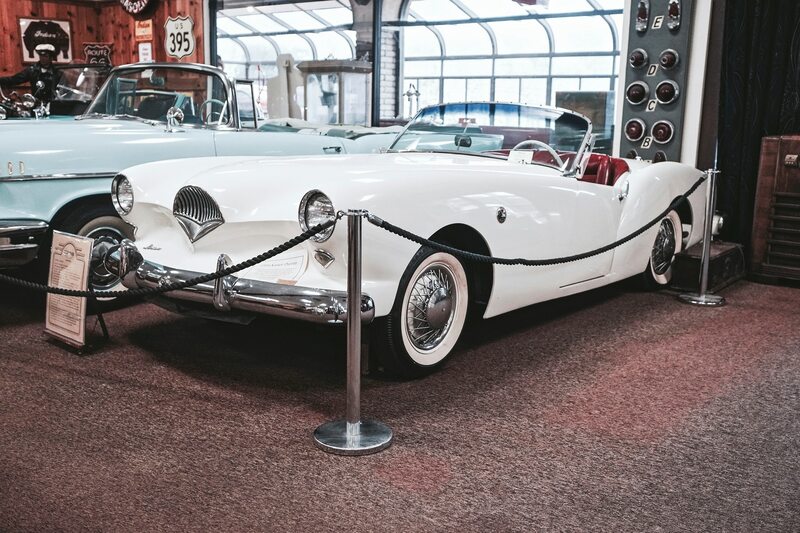 I paid the $10 admission fee and headed in, where I immediately locked eyes on a vibrant white 1954 Kaiser Darrin with a gorgeous maroon interior. 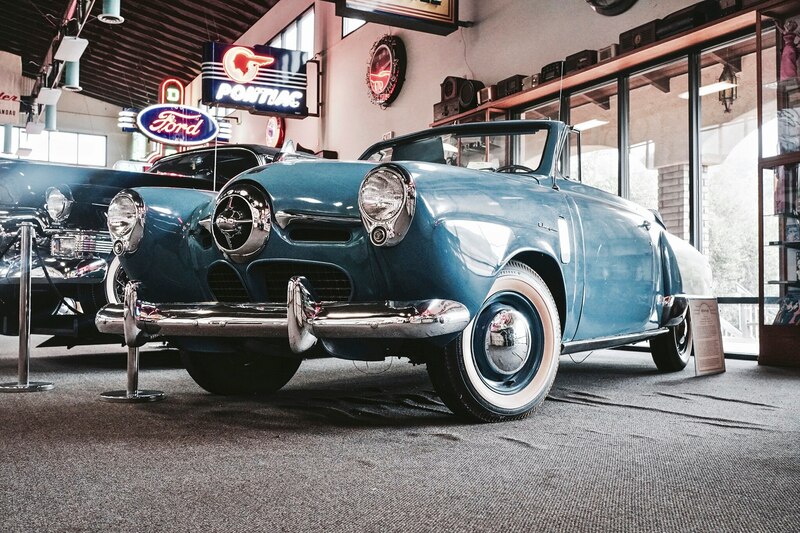 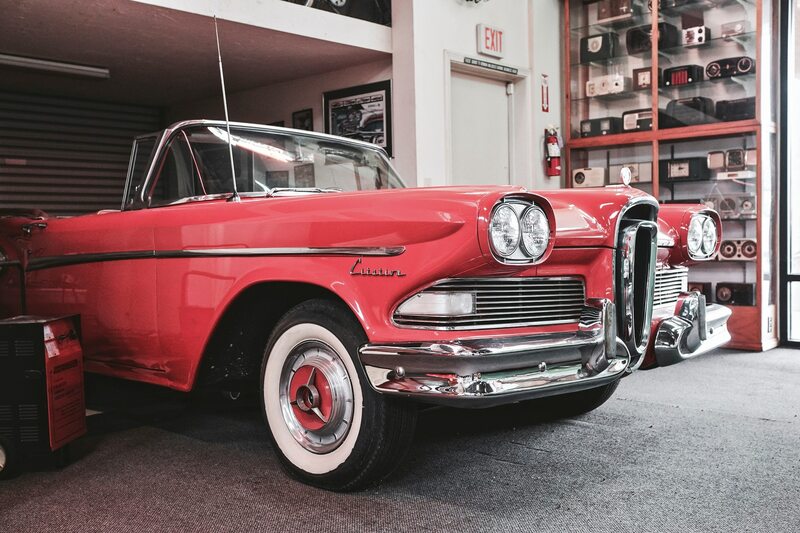 Intended to compete with European sports cars of the 1950s, fewer than 450 examples of the fiberglass-bodied, sliding-door Kaiser were ever built, including a few hardtops. 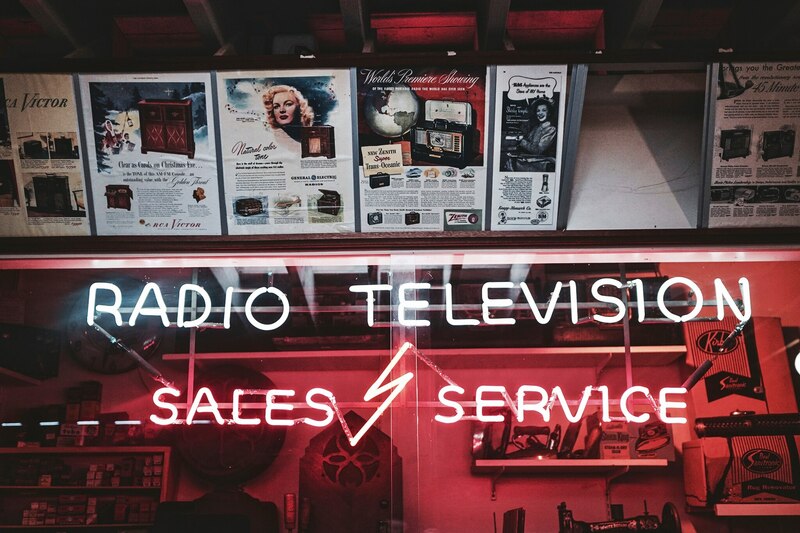 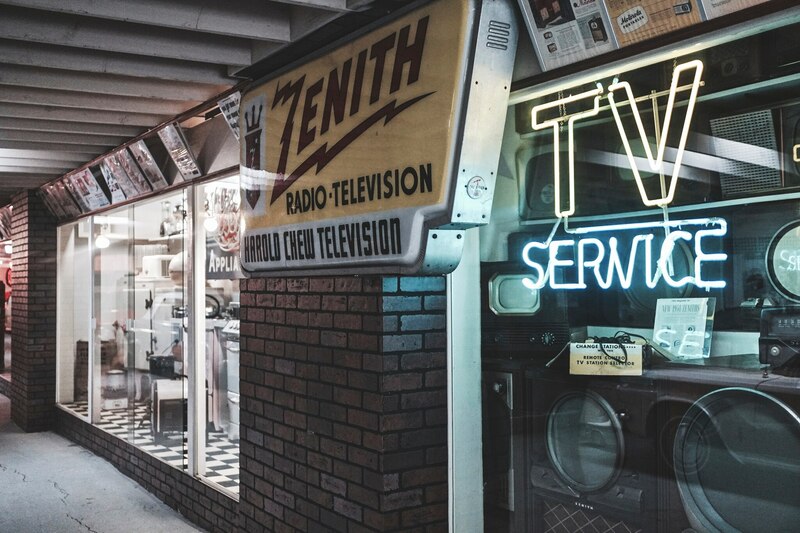 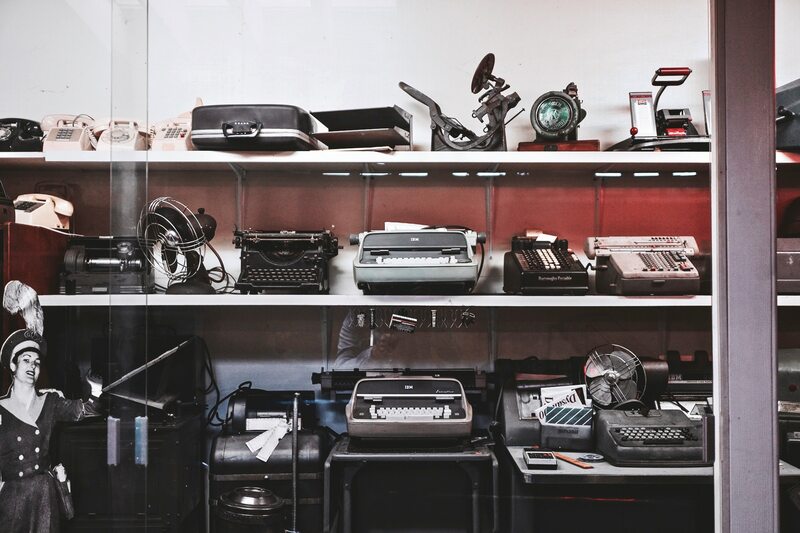 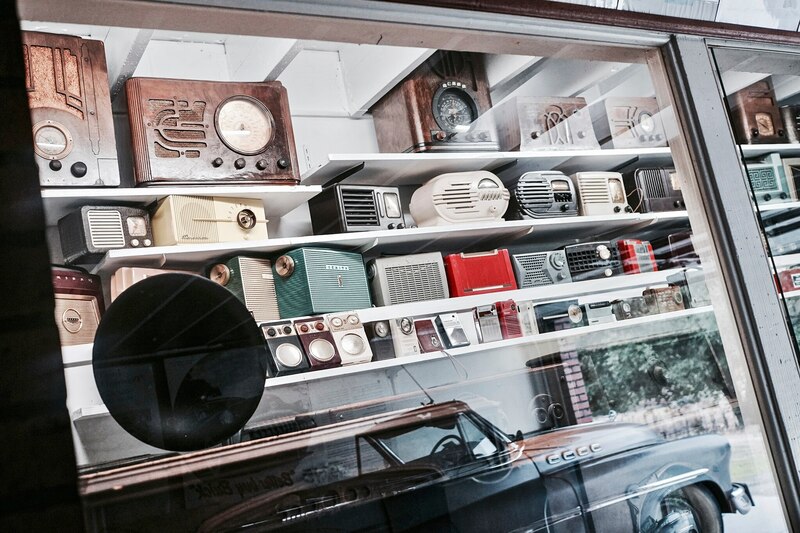 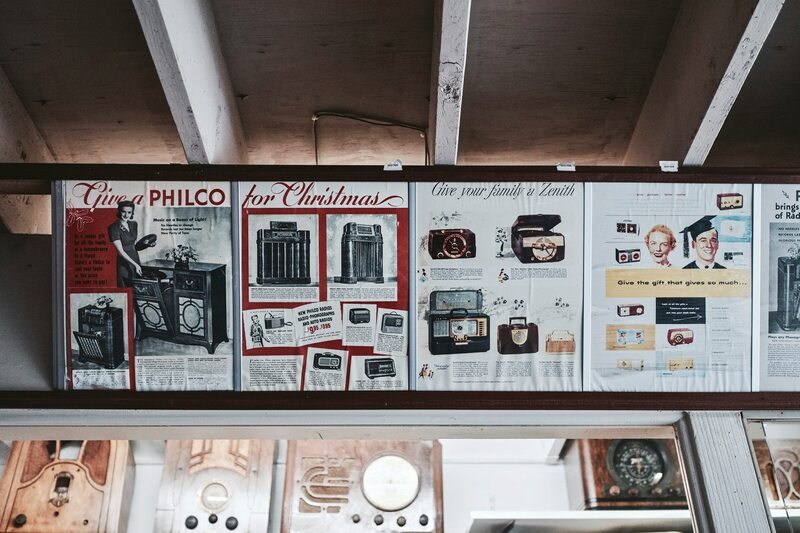 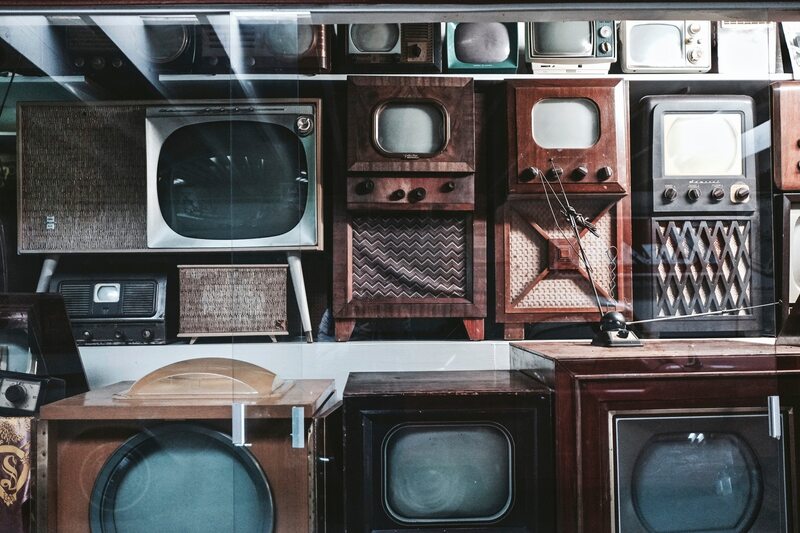 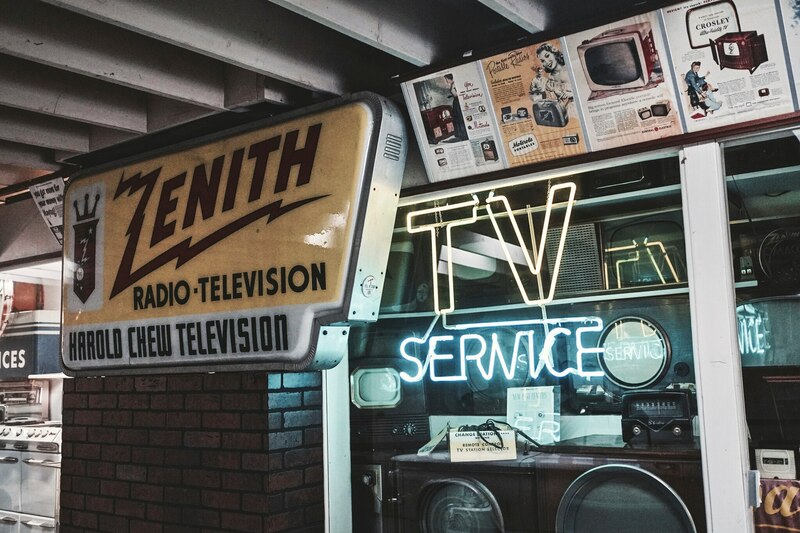 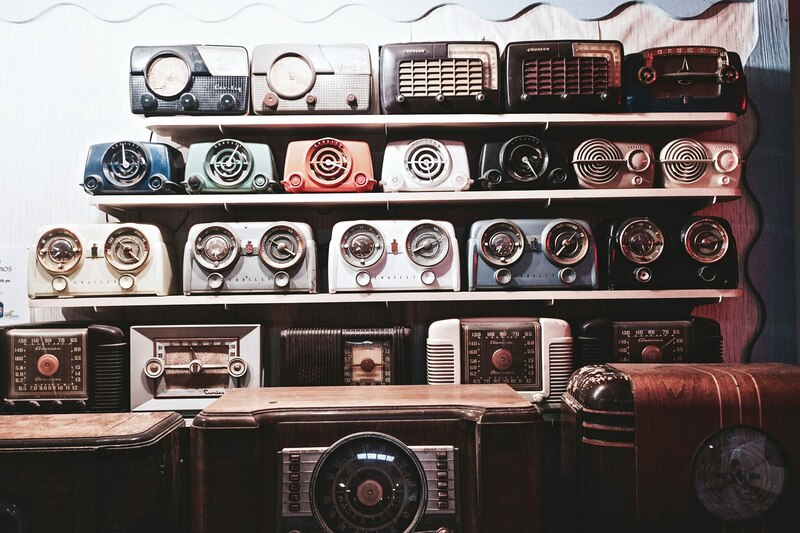 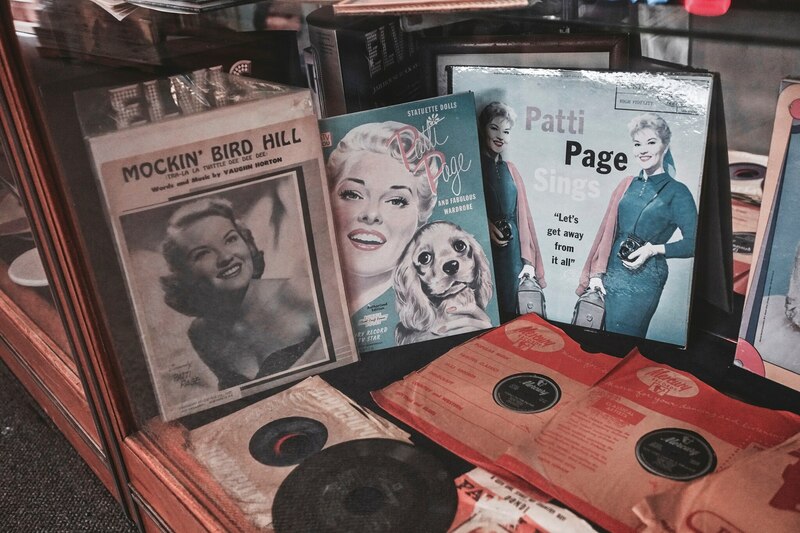 I walked to a second building housing antique radios, typewriters, kitchen appliances, televisions, and more—very fascinating stuff, but not what I was there to see, exactly. 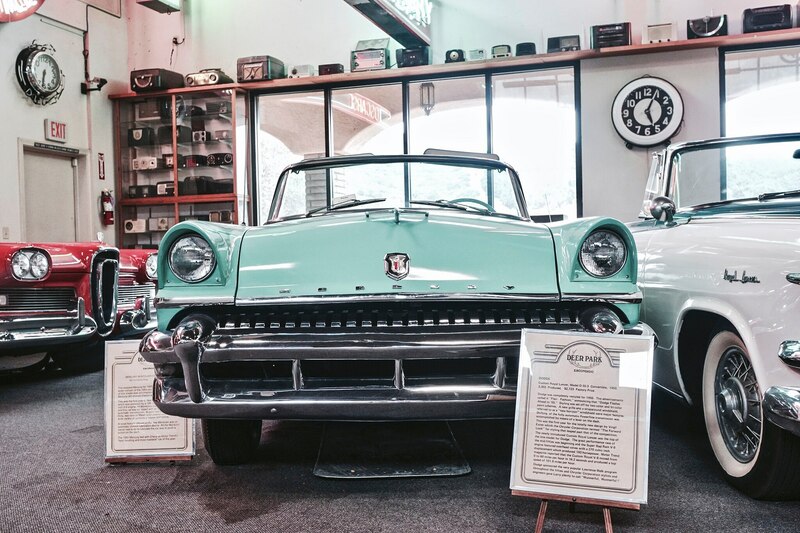 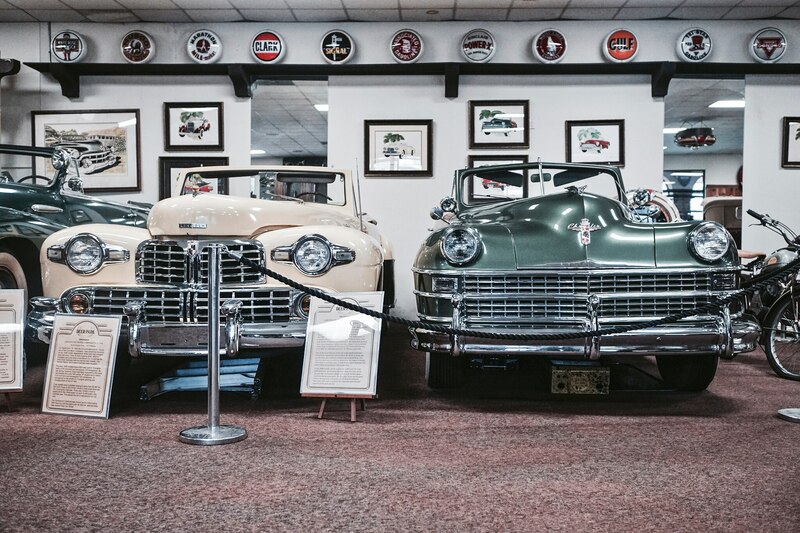 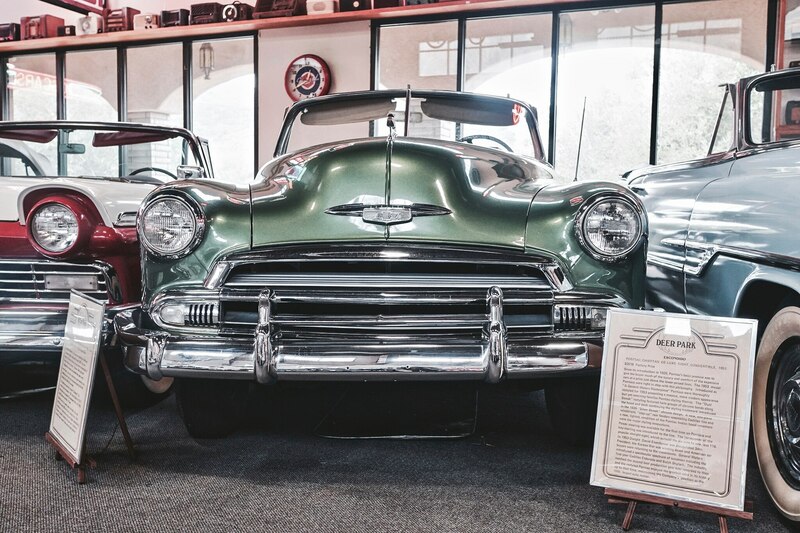 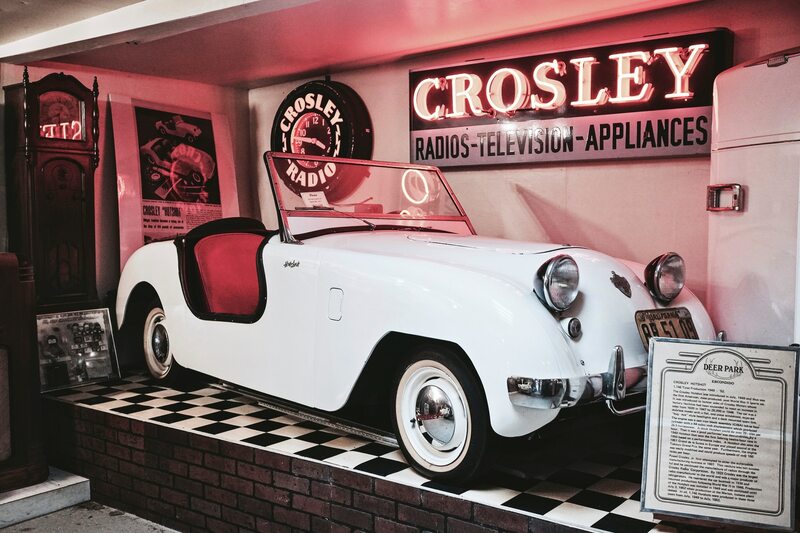 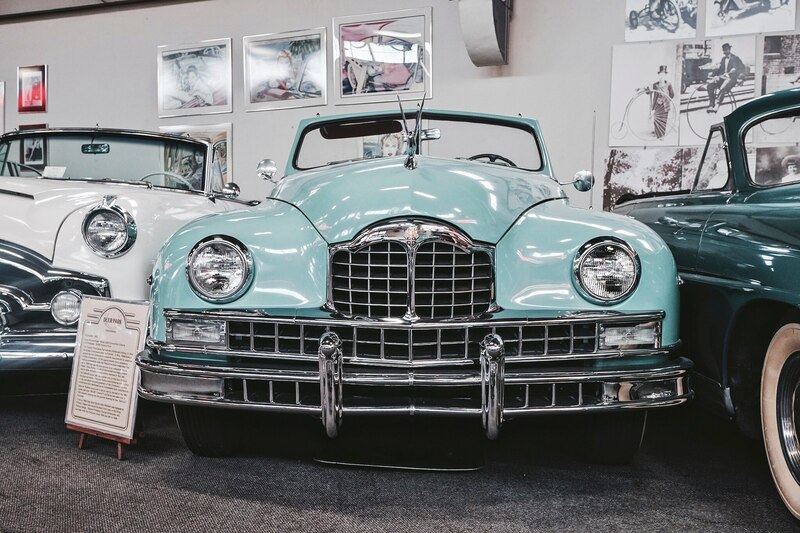 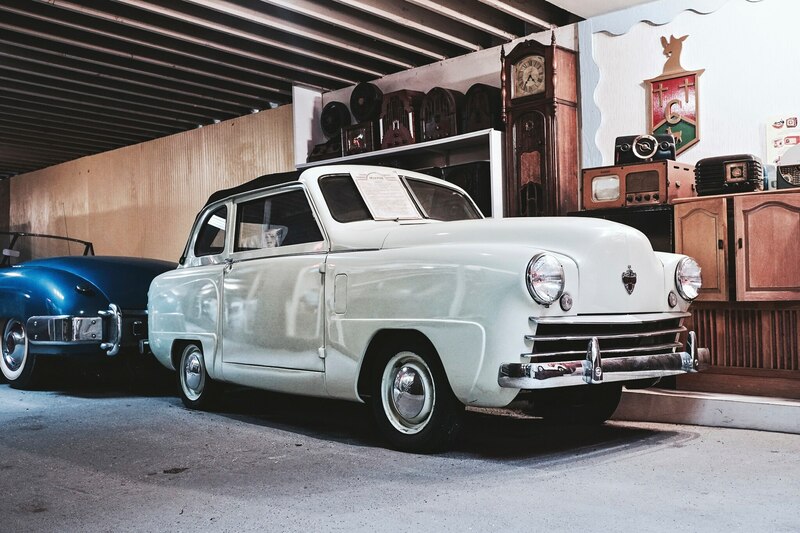 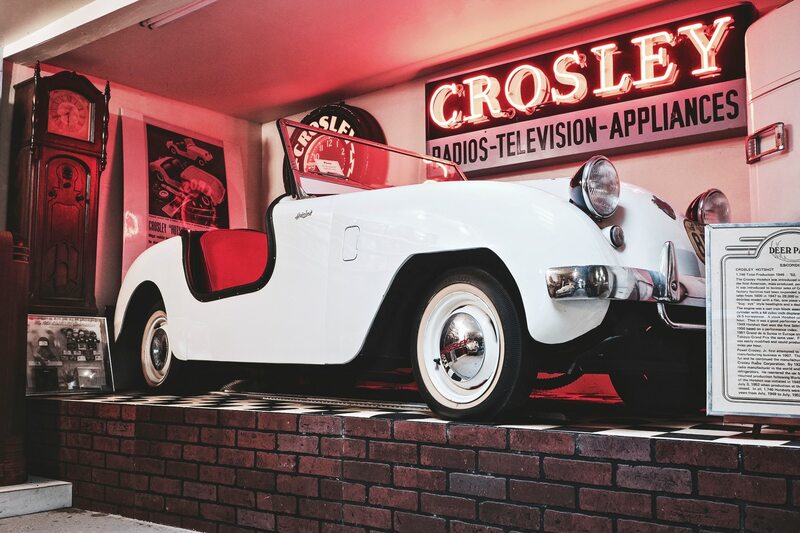 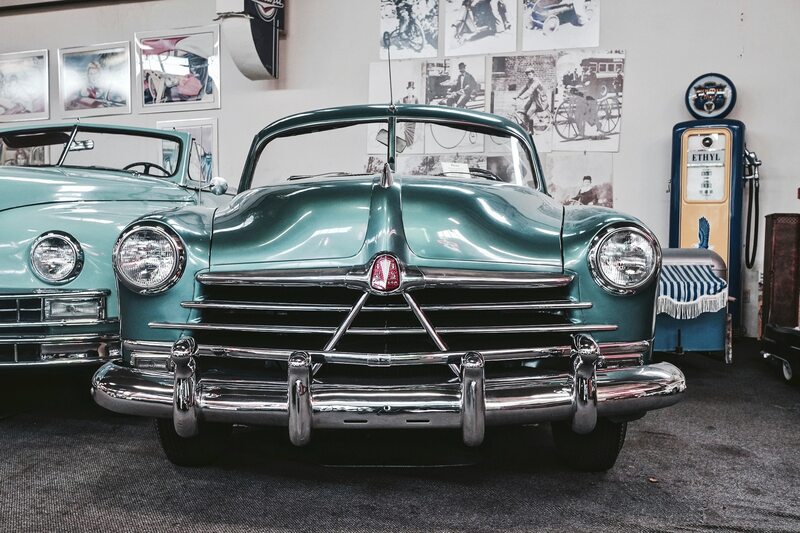 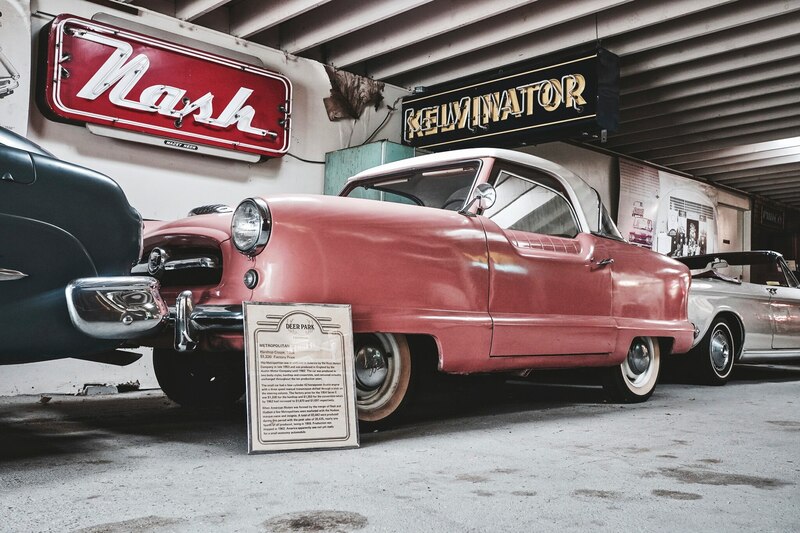 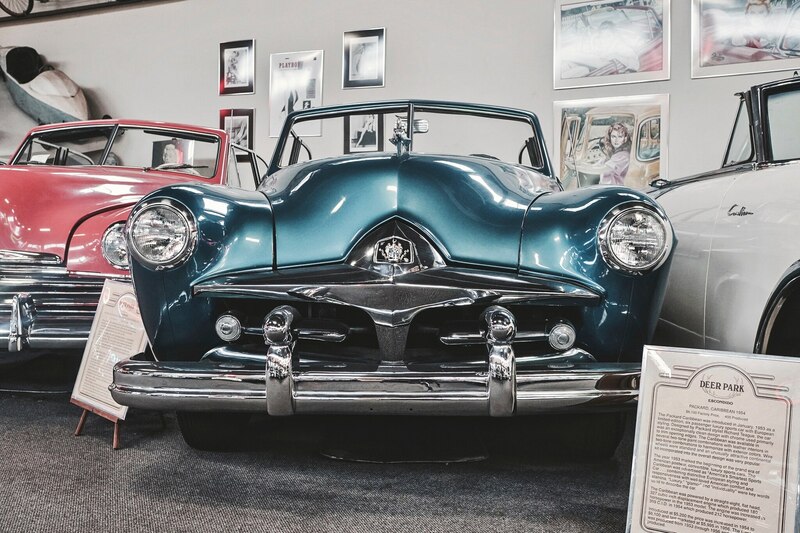 Another building was packed with an immense collection of items that served as testament to American progress in the 20th century; two rare cars in this exhibit included a 1952 Muntz Jet and a 1949 Crosley Hotshot, the latter being the first sports car sold in America after World War II. 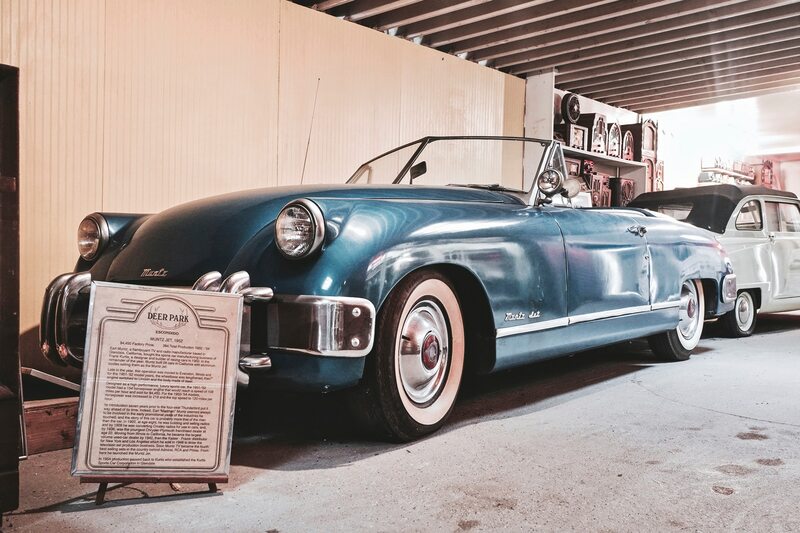 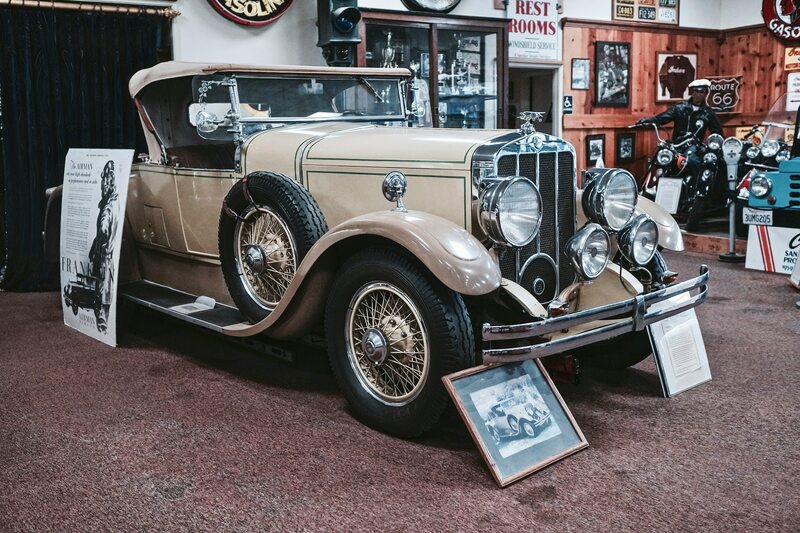 As for the Muntz, as many as 130 of the roughly 200 built are believed to have survived. 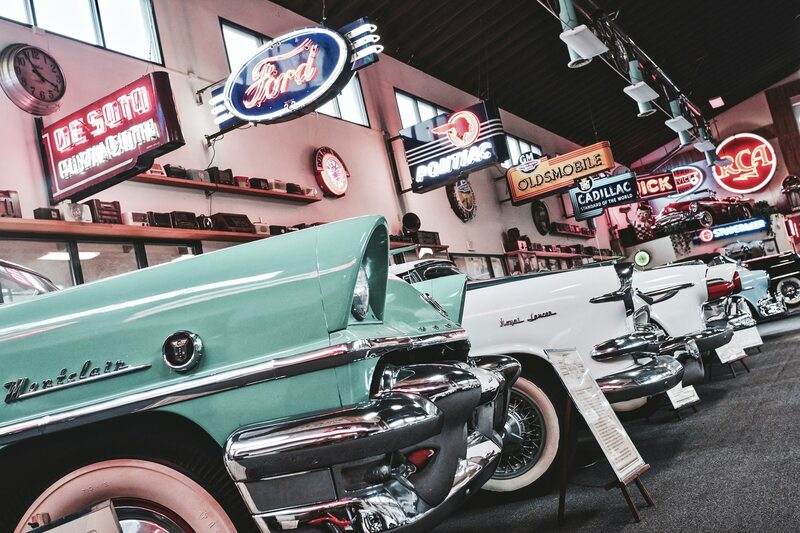 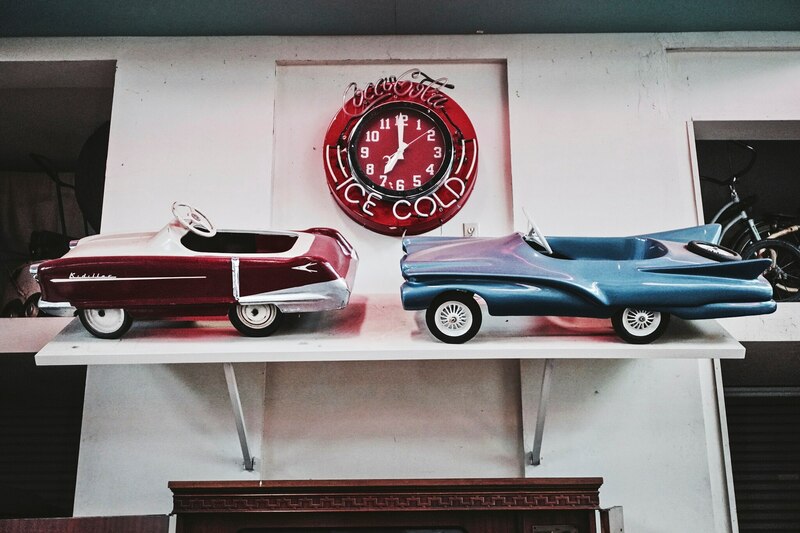 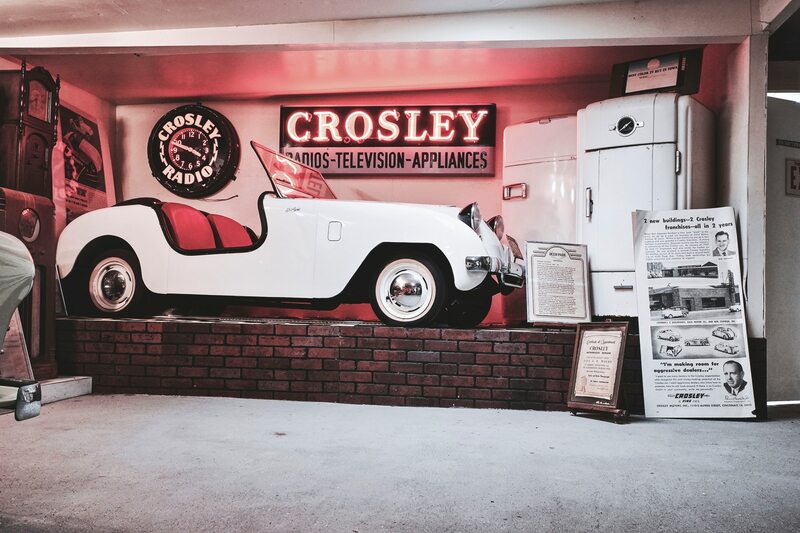 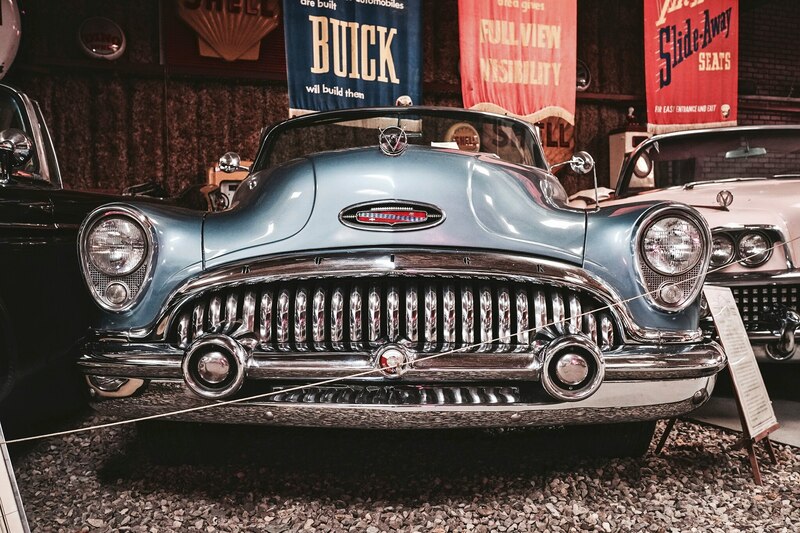 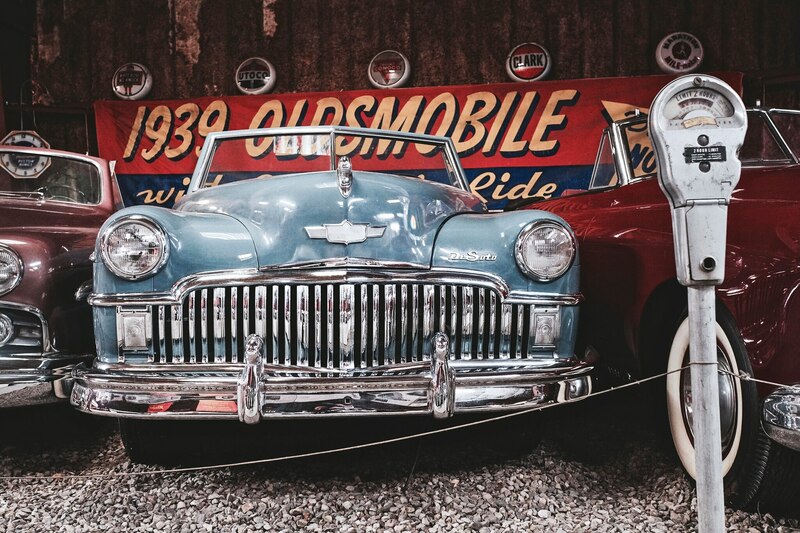 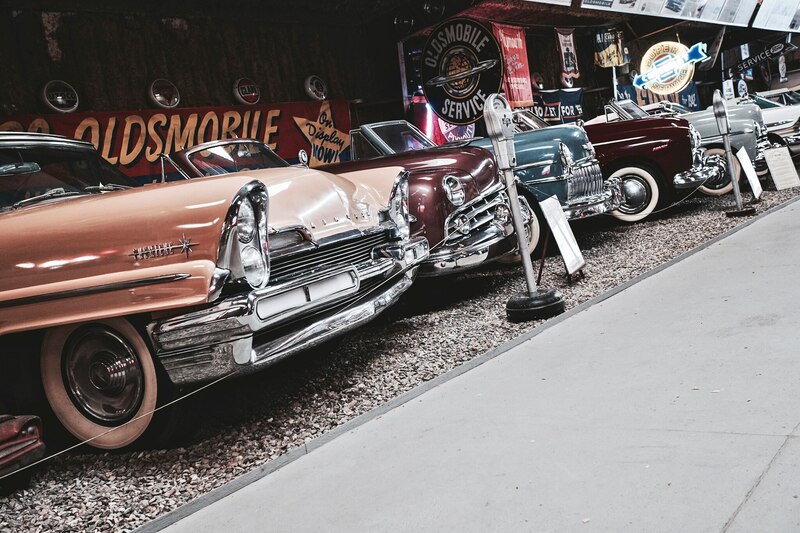 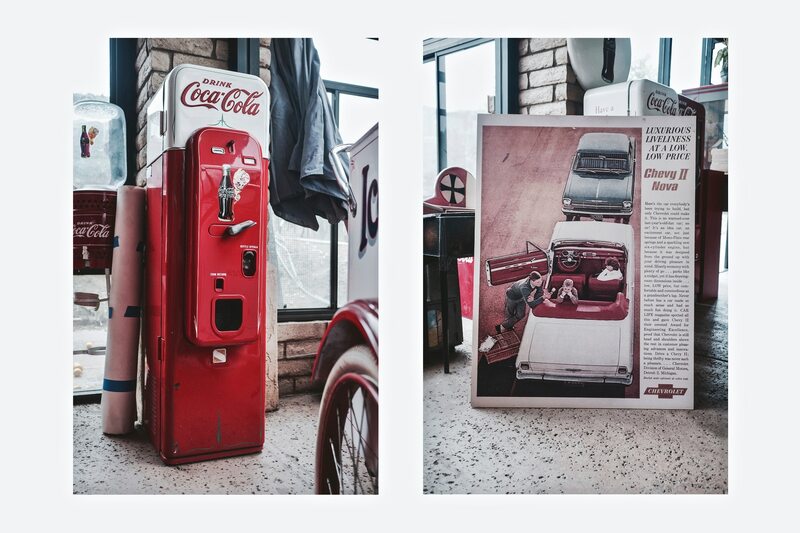 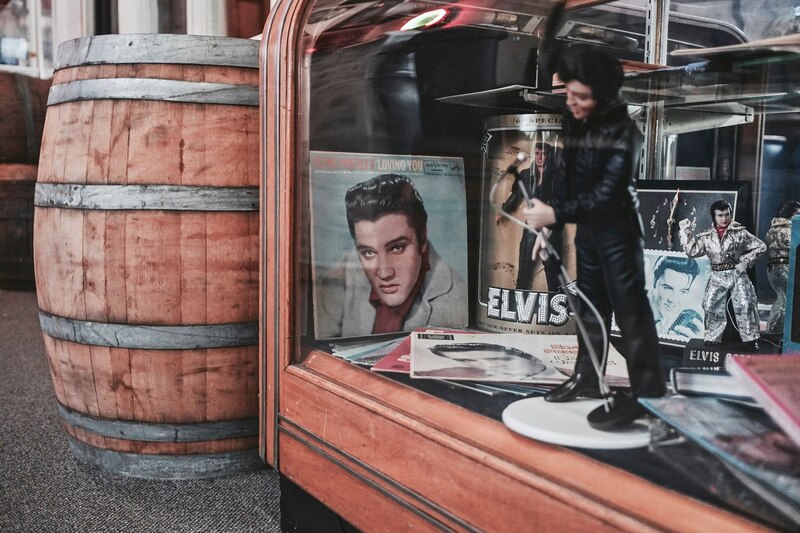 It was past the Crosley that I found myself amid a huge stable of American classic cars—the main automotive area. 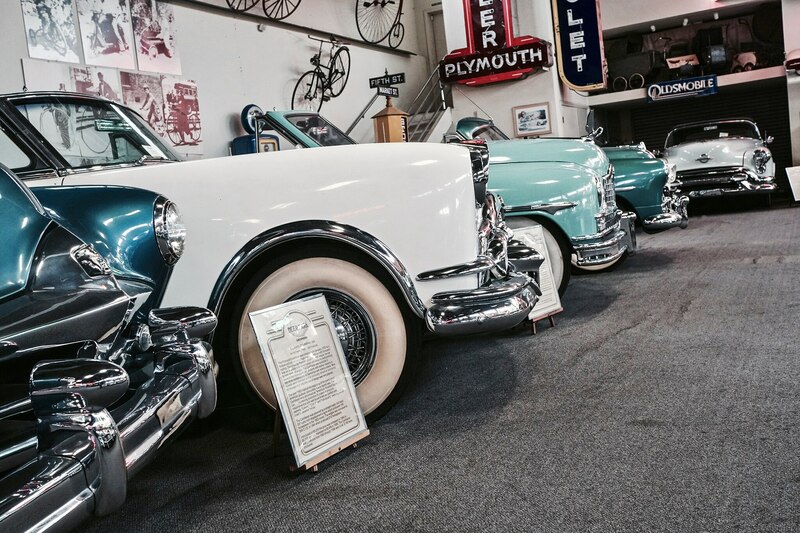 Buick, Chevrolet, Lincoln, Cadillac, and Ford were all accounted for, and I had the entire warehouse to myself. 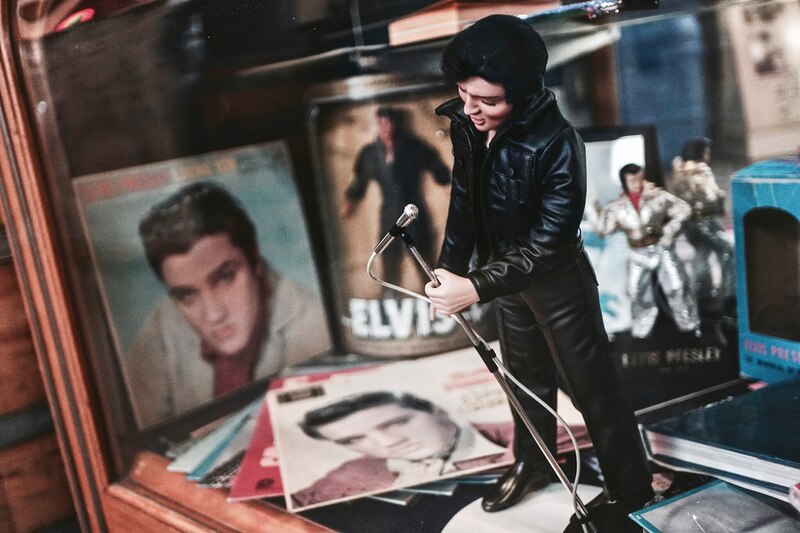 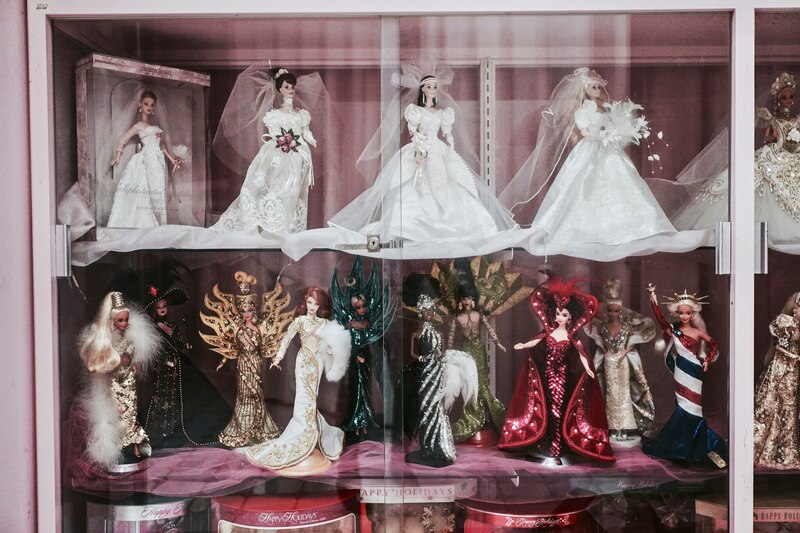 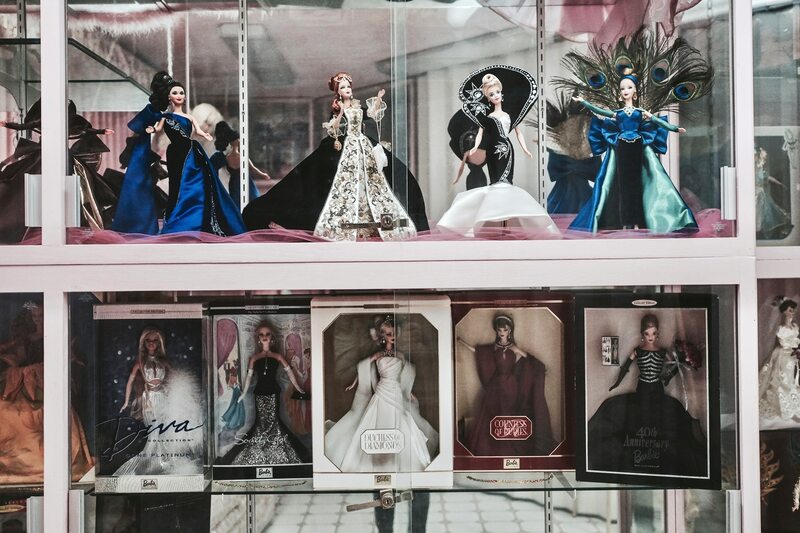 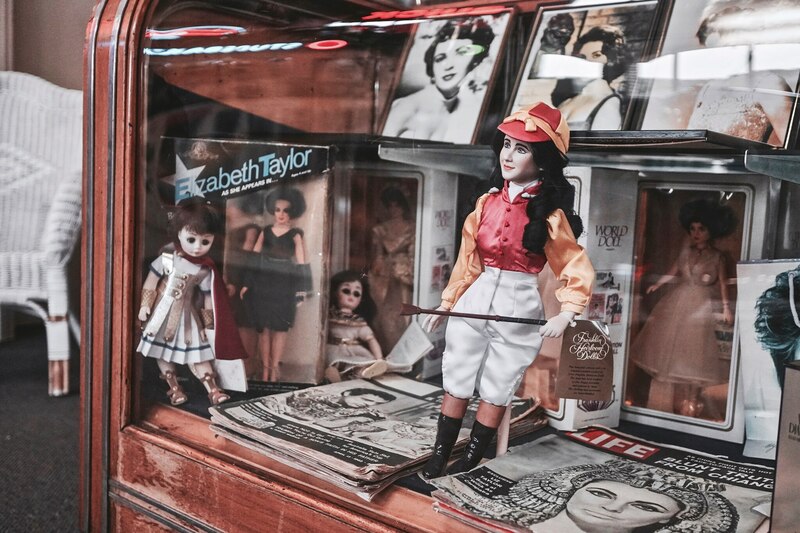 I lingered for a long time before walking upstairs, where I had been told there was an entire room devoted to Barbie. 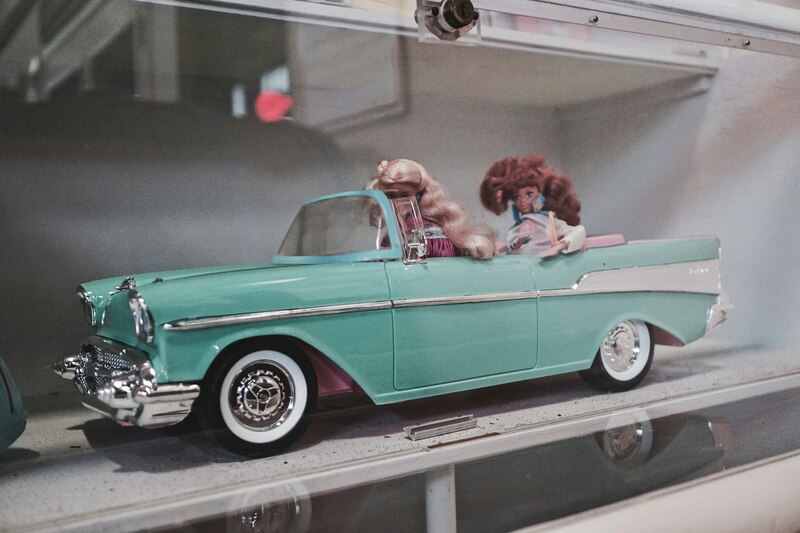 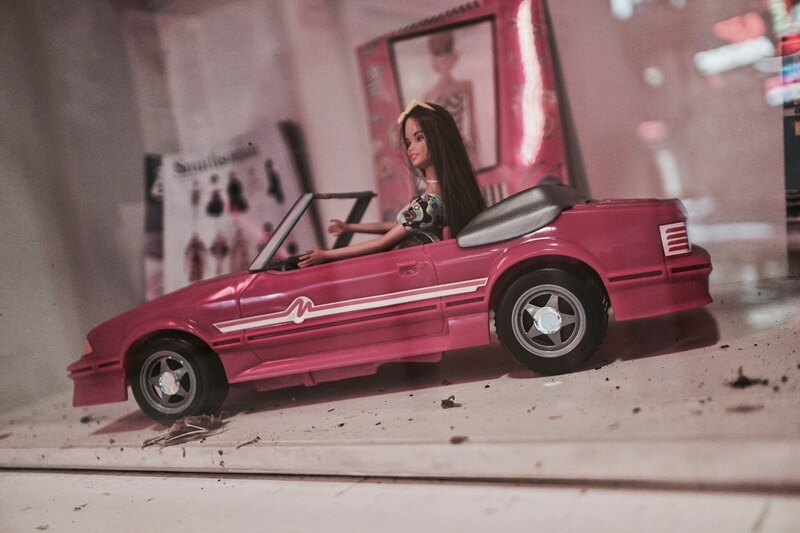 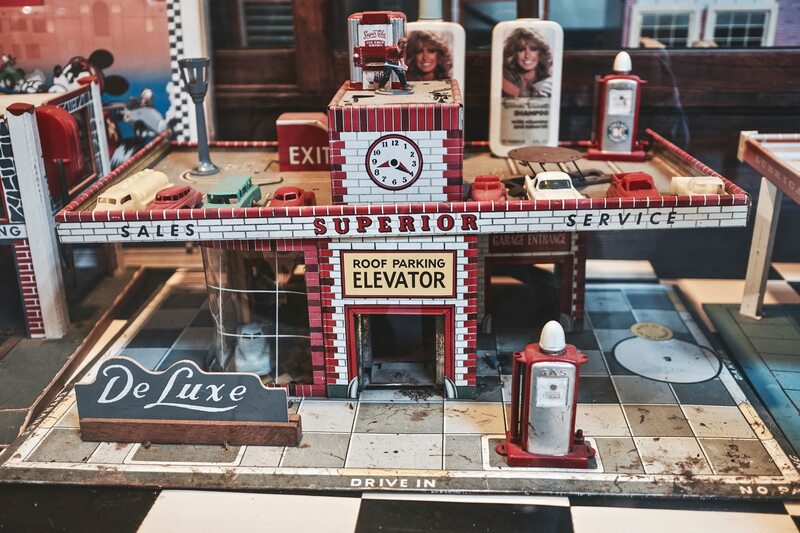 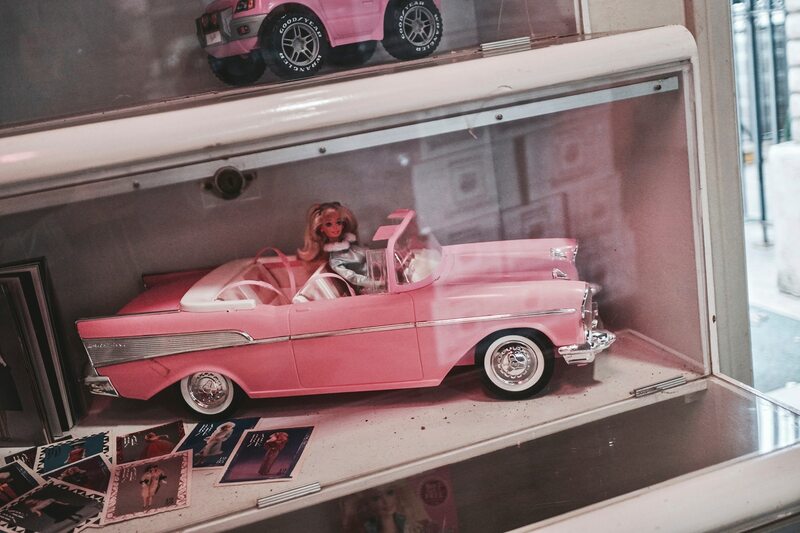 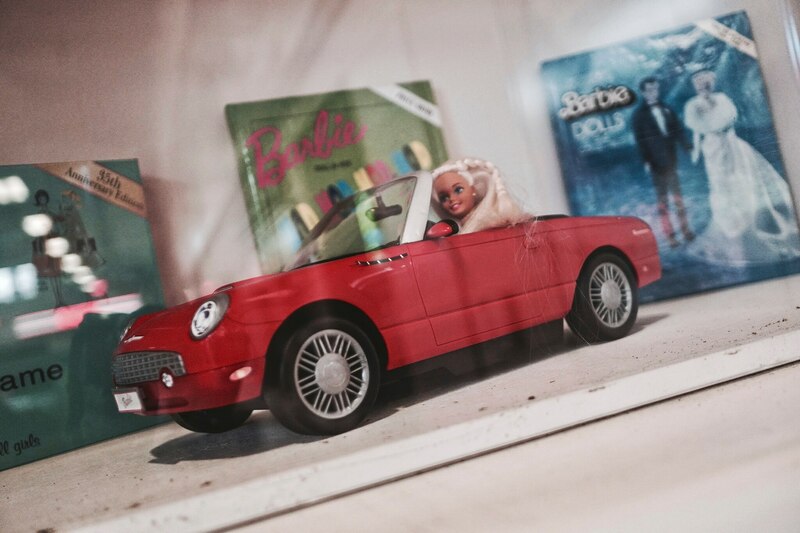 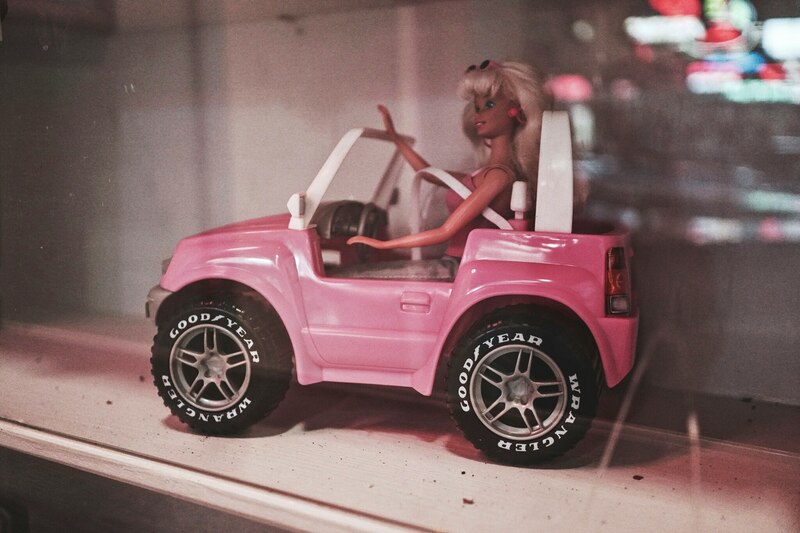 The room was indeed there, and it proved that Barbie prefers convertibles and that neon signs will always rule. 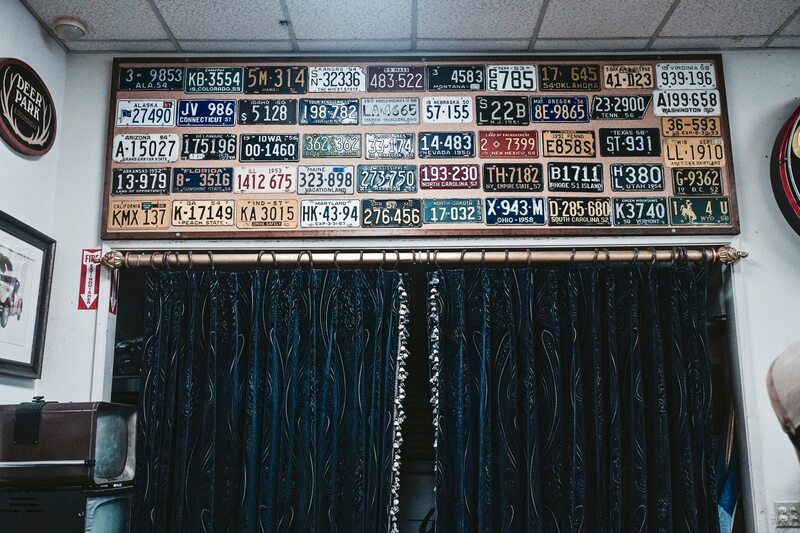 Afterward, I stopped by a Vietnamese restaurant called Pho Truc Xanh for lunch and reflected on Deer Park. 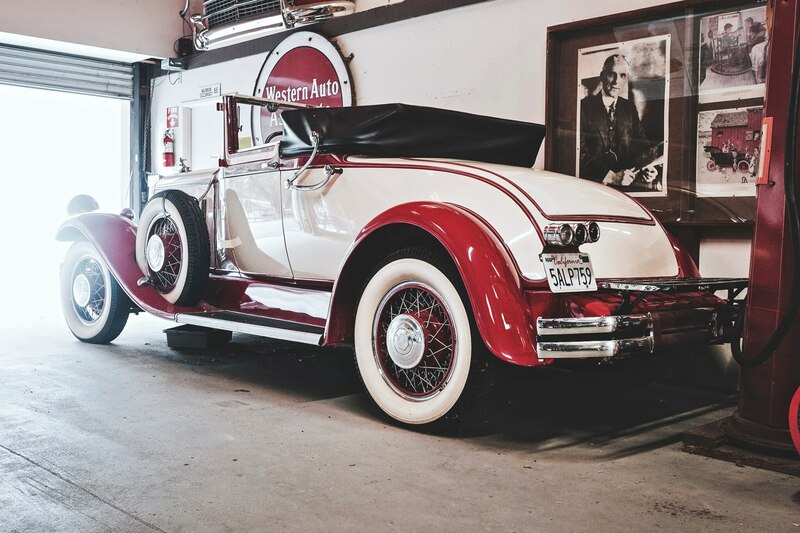 Frankly, yes, the museum needs a major renovation and the cars themselves need serious detailing—and in some cases a full restoration. 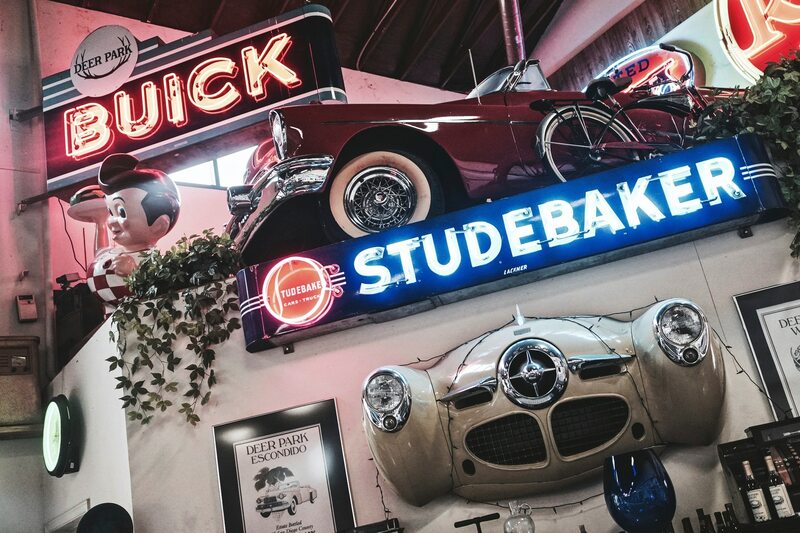 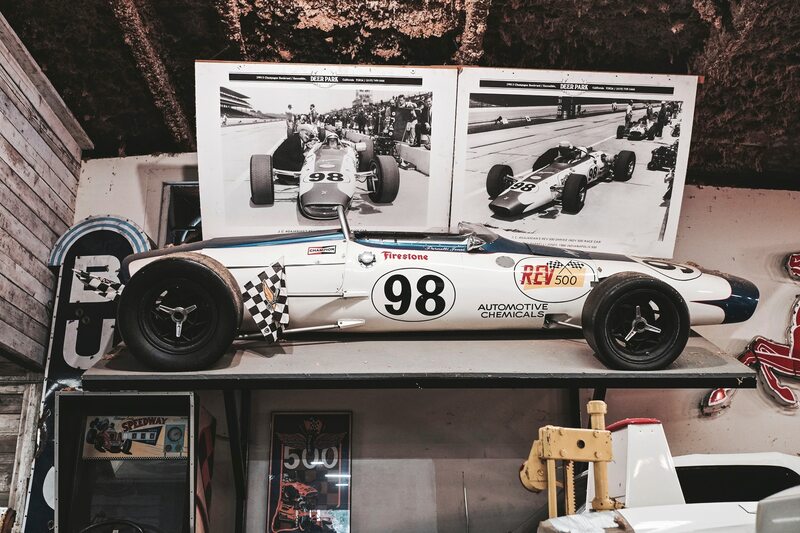 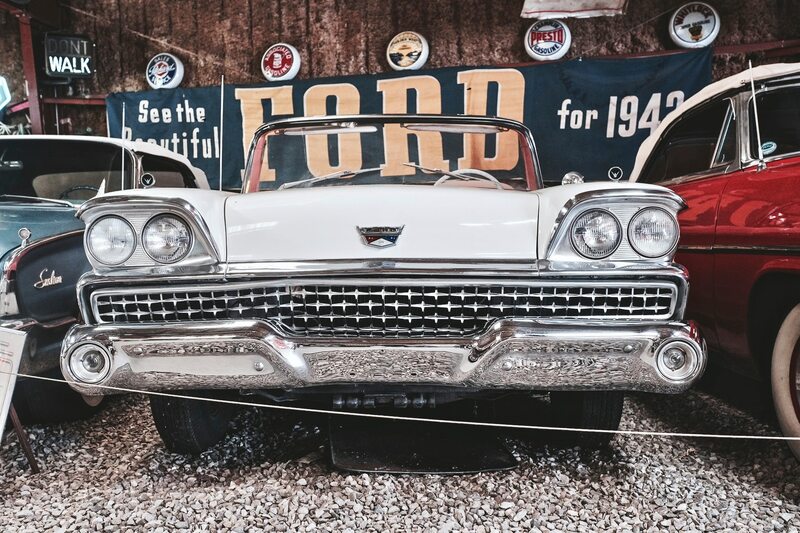 But that’s not to say it’s in shambles, and the facility’s collection of automobiles and Americana is a testament to the strength of car culture and American ingenuity. 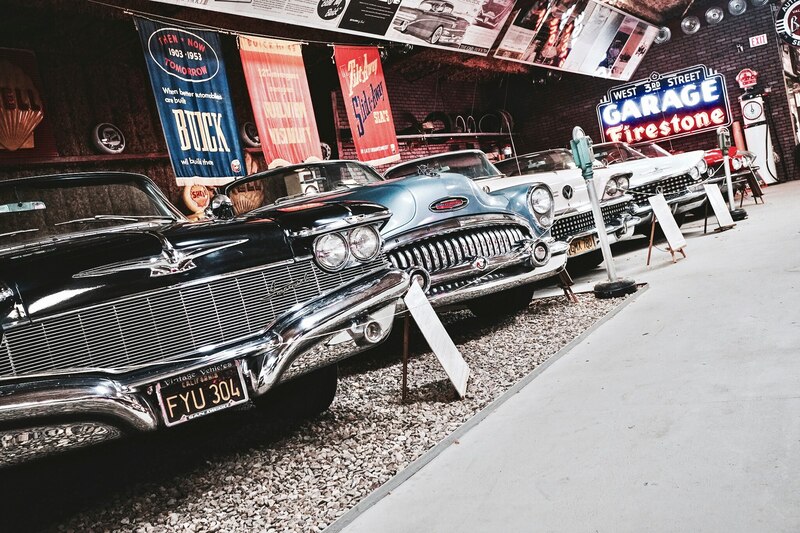 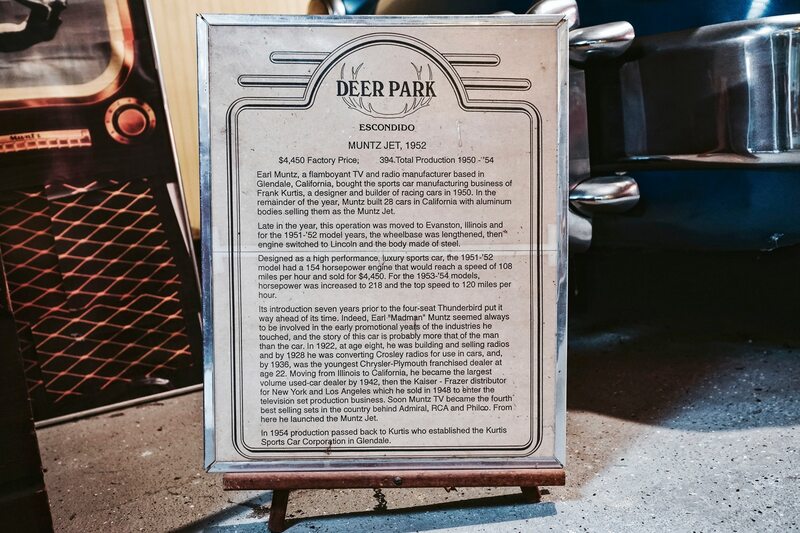 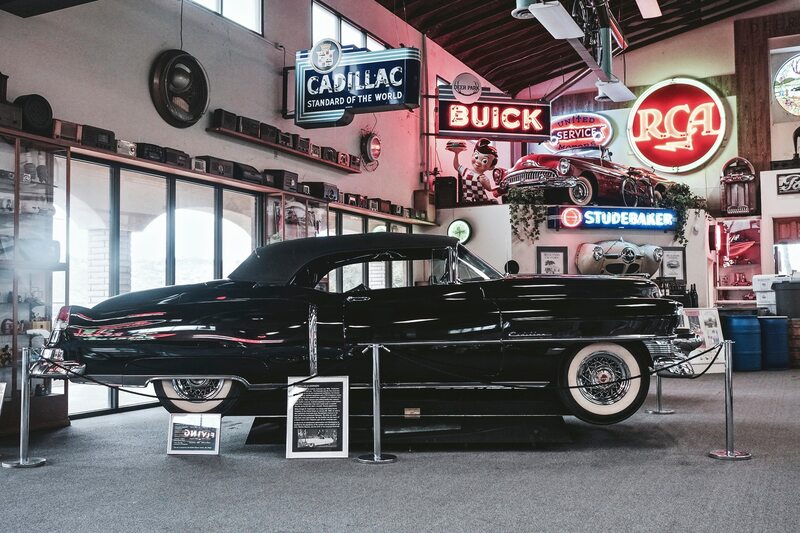 Given the proper care and attention (and plenty of money, of course), there’s no reason Deer Park Winery & Auto Museum couldn’t be mentioned in the same breath as the Petersen Automotive Museum. 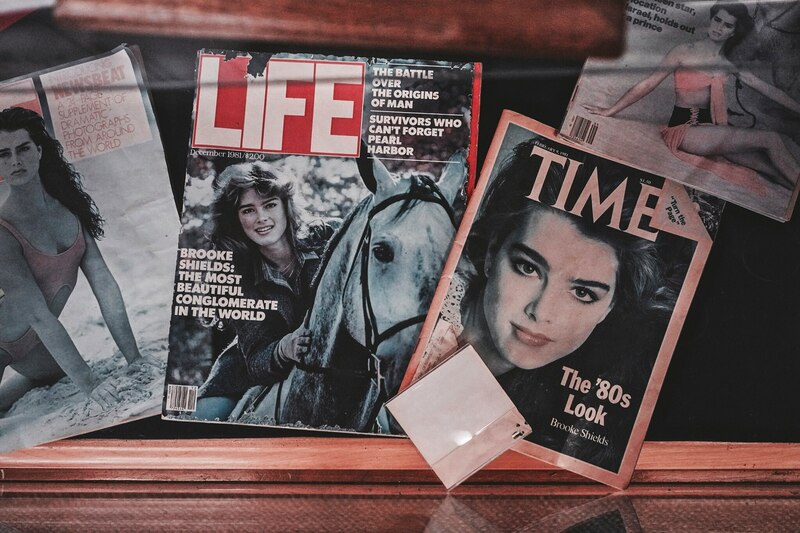 As for the wine, no comment—I didn’t have any.